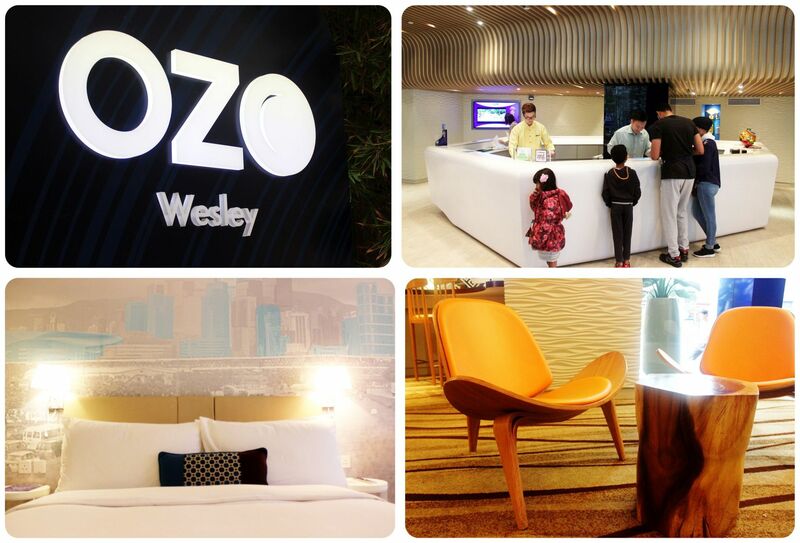 When I arrived at the OZO Wesley, I immediately liked the beautiful stylish entrance – but it was when I walked through these doors that I was truly stunned. 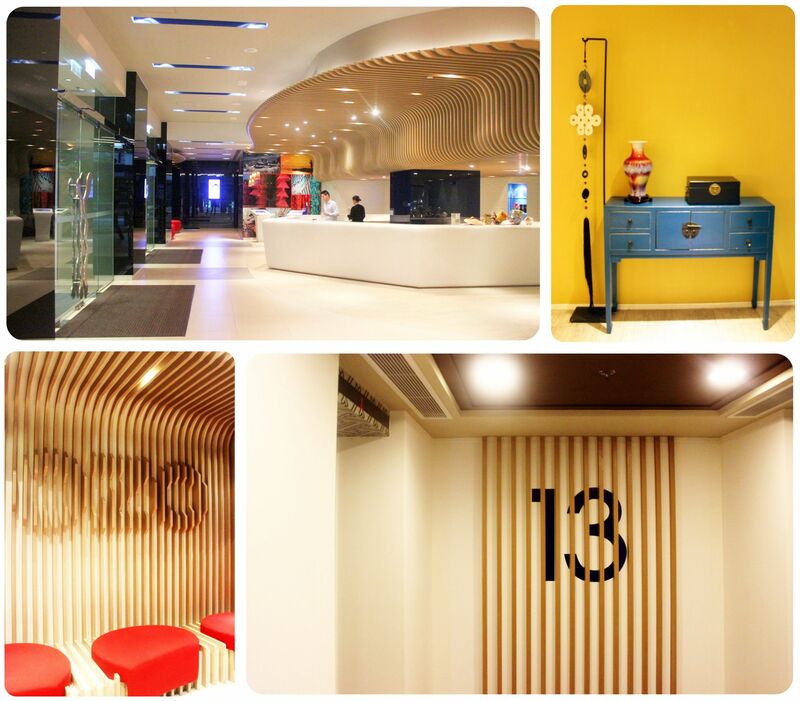 The swanky, bright and spacious lobby has hands down one of the funkiest designs I’ve ever seen in a hotel. The waved wooden lines that cover parts of the ceiling and walls paired with bright red furniture reassured me immediately that I had made a good choice with this hotel, and I hadn’t even seen my room yet. 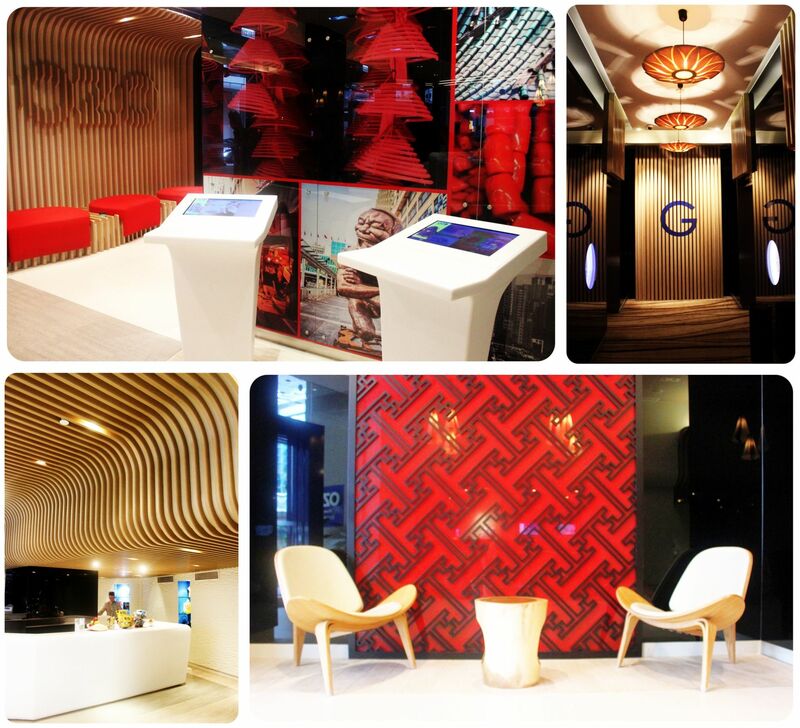 I’d wanted to stay in Wan Chai, a neighborhood of Hong Kong that I wanted to explore more of, and the location of the Ozo seemed perfect. 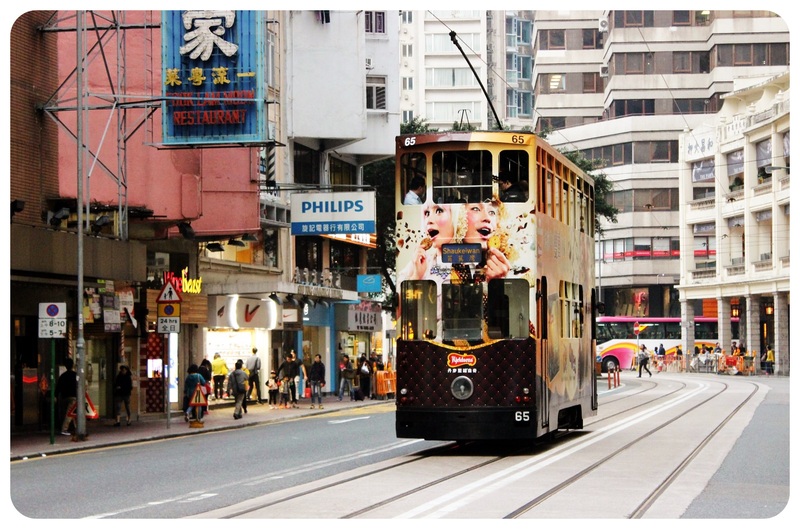 A tram station and several bus stations right outside the house, two subway stations (Admirality and Wan Chai) are each a a five-minute walk away. The other thing that had spoken to me was that their website promised ‘stylishly designed urban accommodation for on-the-go global nomads’. 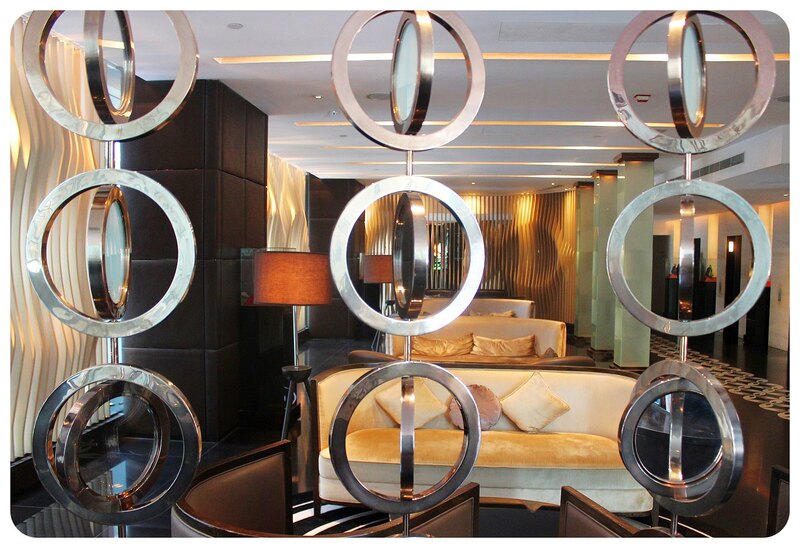 Well if that’s not the perfect hotel for this globetrottergirl, then I don’t know! 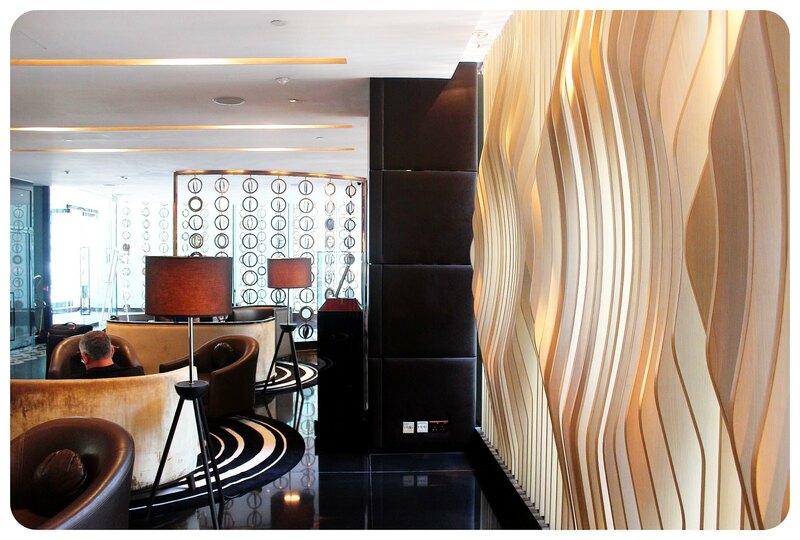 The check-in was efficient and quick, and within five minutes of arriving I found myself opening the door to my room on the 18th floor, and yet again, was pleasantly surprised about the comfort and the design. 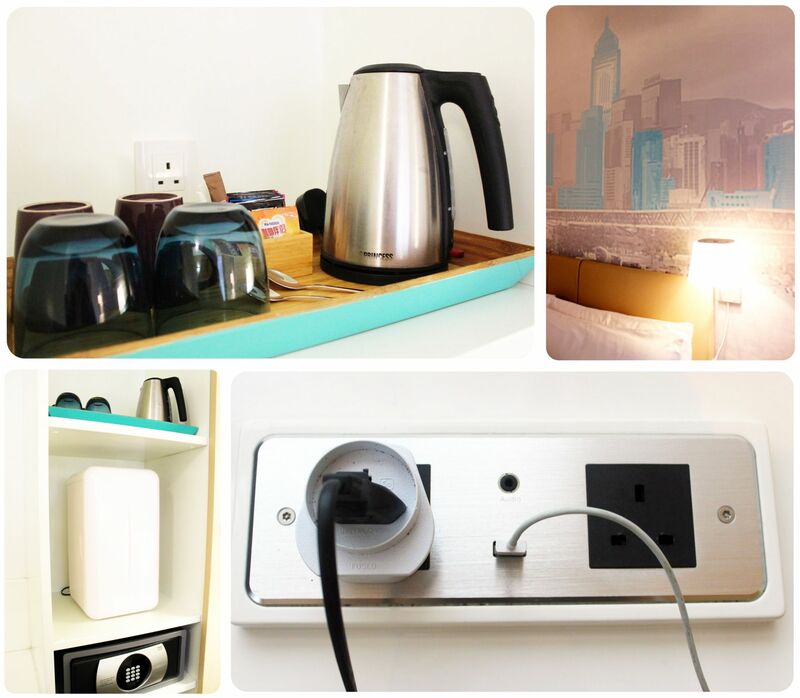 Hong Kong is, similar to New York, known for its tiny hotel rooms, but the Ozo manages to make the most of every single inch – there is even a small desk next to the bed. 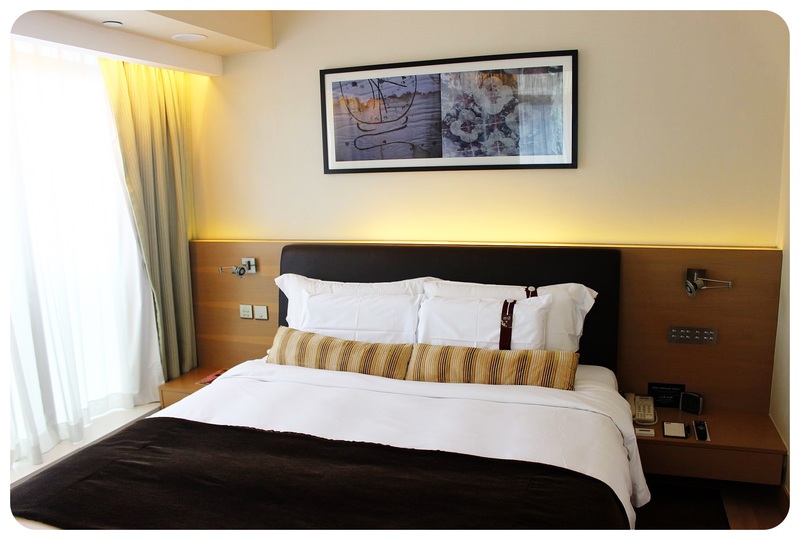 The blue and grey painting of the city skyline that covers the entire wall behind the bed adds to the nifty and modernistic feel of the hotel. Last but not least, my favorite part: the sofa reading nook in the bay window! I started looking forward to the occasional downpours because it meant I could make myself a cup of tea (every room has an electric kettle and tea) and relax with a magazine in my little nook, or draft some articles. It was my favorite little detail of the hotel. 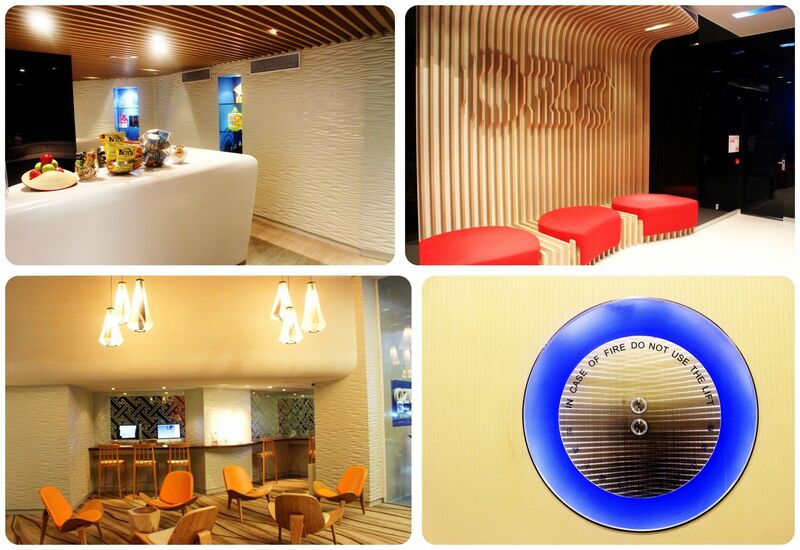 However, the reading nook isn’t even what the Ozo is all about – the Ozo is all about getting decent sleep. 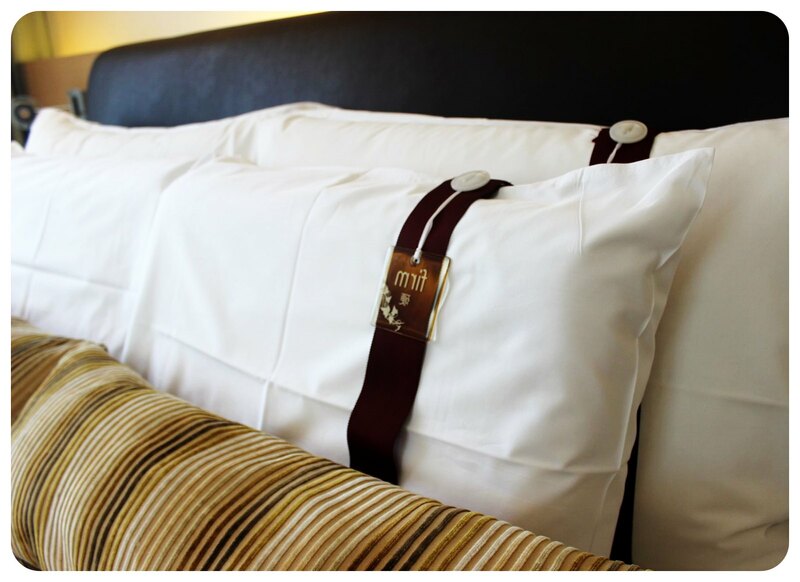 Everything in the rooms is designed for guests to have the best possible night’s sleep, the best ‘dream experience’. 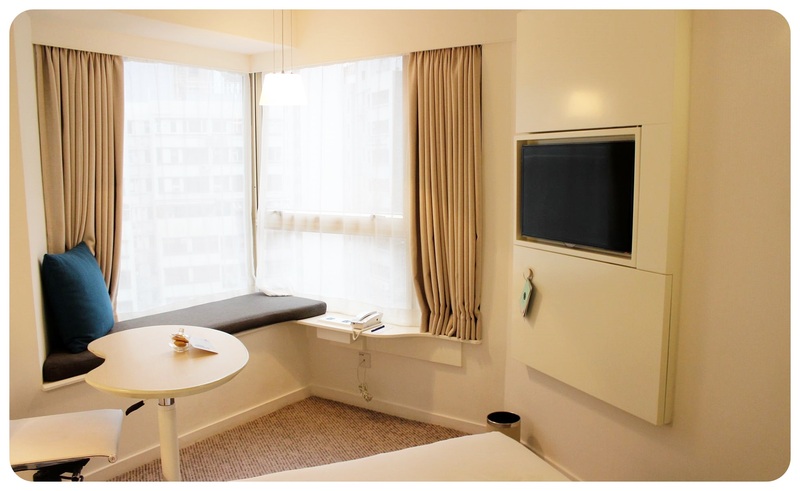 This means super comfy beds, thick curtains that block out the sunlight in the morning, double glass windows to keep out the city noise, and even includes a sleep timer on the TV that comes with sheep jumping across the screen. 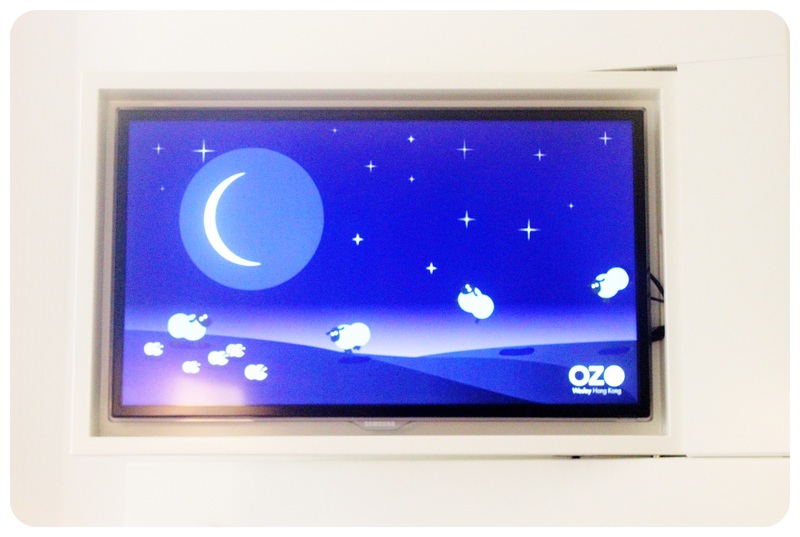 I couldn’t help but smile every night when I turned the TV on, eagerly awaiting the friendly sheep to put me to sleep with their monotone jumps. 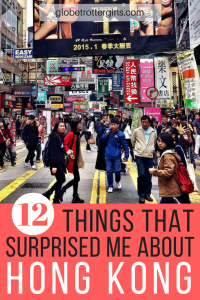 And my sleeps at the OZO were indeed always uninterrupted, and the bed was so cozy that I was tempted to spend all day in it, instead exploring Hong Kong. But after a good night’s sleep I was way too energized to stay in bed. Another thing I loved about my room was the fact that I opened the larger-than-your-usual-minibar fridge and found it EMPTY! 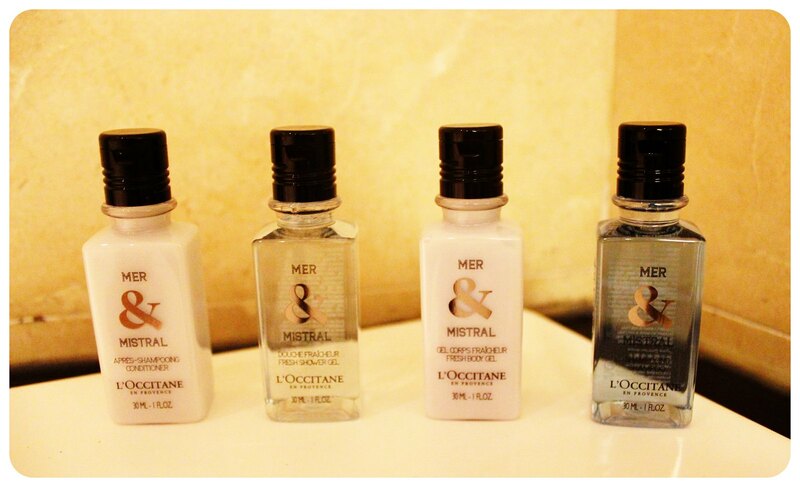 Finally a hotel that understands that most guests are tired of paying for overpriced minibar drinks and snacks and rather go to 7-11 to stock up on exactly the items they want. The OZO gets it, and instead of forcing you to empty the minibar just so that you have room to store your snacks and drinks, and then putting all the minibar items back in before check-out, they leave you an empty fridge to begin with. Marvelous! And for those who don’t want to go out to get snacks or drinks, there’s still the 24-hour cafeteria in the lobby that has things like cookies, chips, fresh fruit and drinks. On my first day at the OZO, I went for a run on the Bowen Road fitness trail, which I had discovered thanks to googleMaps, was only a short run up the hill from the hotel. Once you’re up there, you can run for miles straight along the rocks of the hill, surrounded by lush jungles, and with splendid views over Hong Kong. This became one of my favorite running routes in Hong Kong, but the hotel is also just a short run away from the Central and Western Distric Promenade which goes along the water all the way to the harbor, another scenic running route. When I woke up to rain on my second day, I decided to check out the hotel gym instead and was stoked to see a rather big gym, fully equipped with cardio machines and weights. 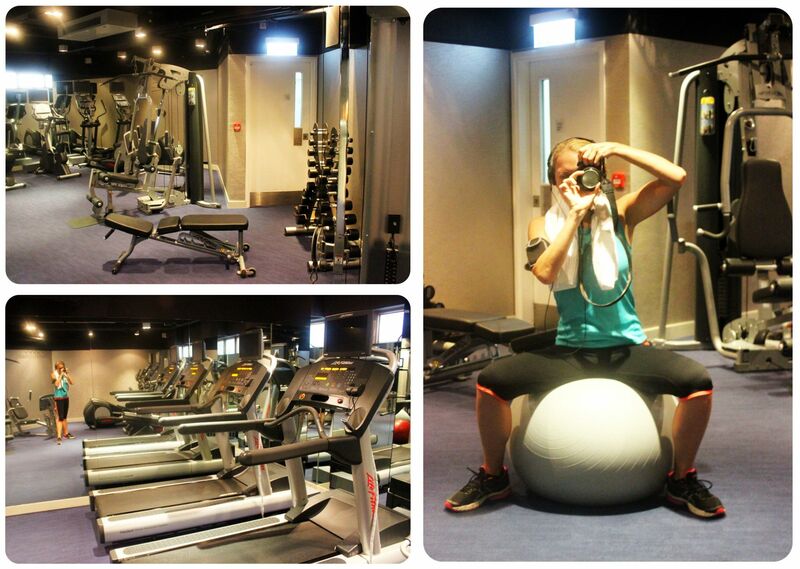 I’ve noticed that when a hotel states it has a gym, it can be hit or miss – sometimes it’s okay, but often it’s tiny and neglected. This one was definitely one that was well taken care of and equipped with modern machines. The one thing you need to refuel your batteries after a morning workout? 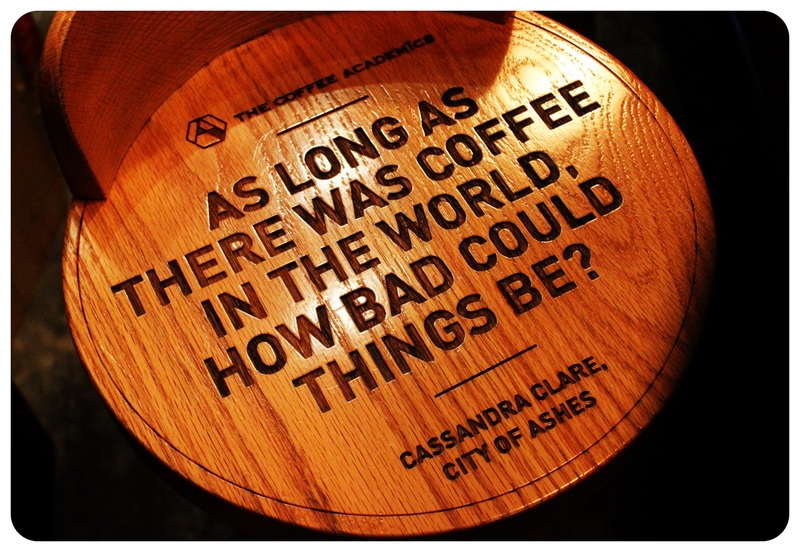 A strong cup of coffee. 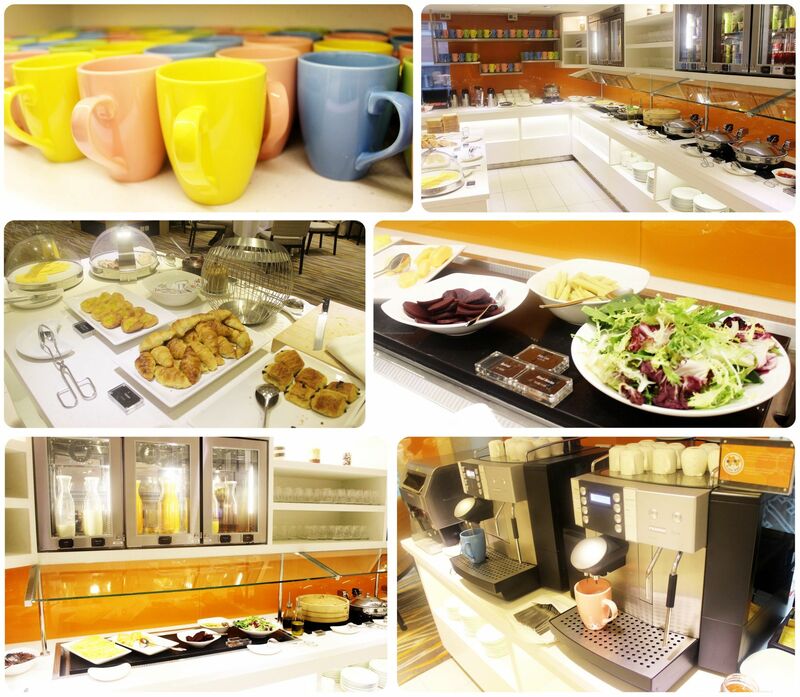 And the OZO has exactly that: instead of simply providing a coffee pot in the breakfast room, like many hotels do, it offers two coffee machines that make exactly the coffee you want, either a simple espresso or americano, or cappuccinos and lattes. 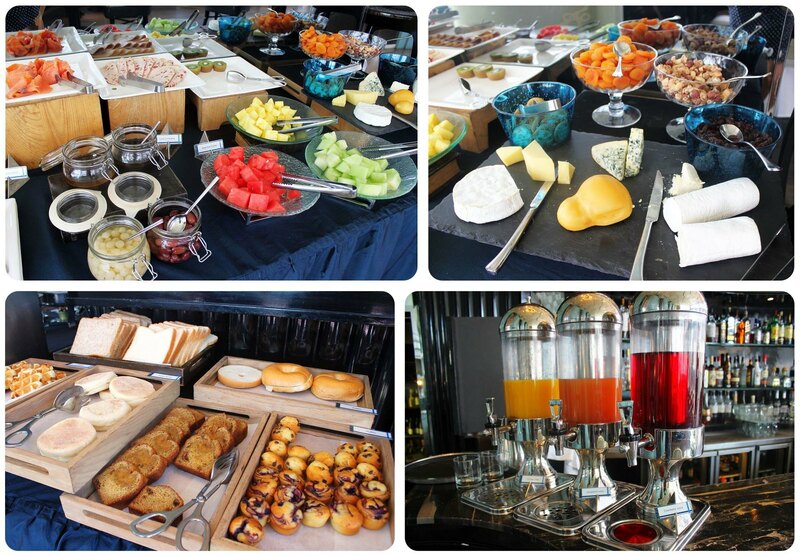 The other parts of breakfast were absolutely sufficient for me: fresh breads, cheese and cold cuts, jams and peanut butter, yogurt, a selection of juices and salad. The only thing I wished I would have had a larger selection to choose from was fresh fruit, especially since the hotel is making a point of serving healthy breakfast. 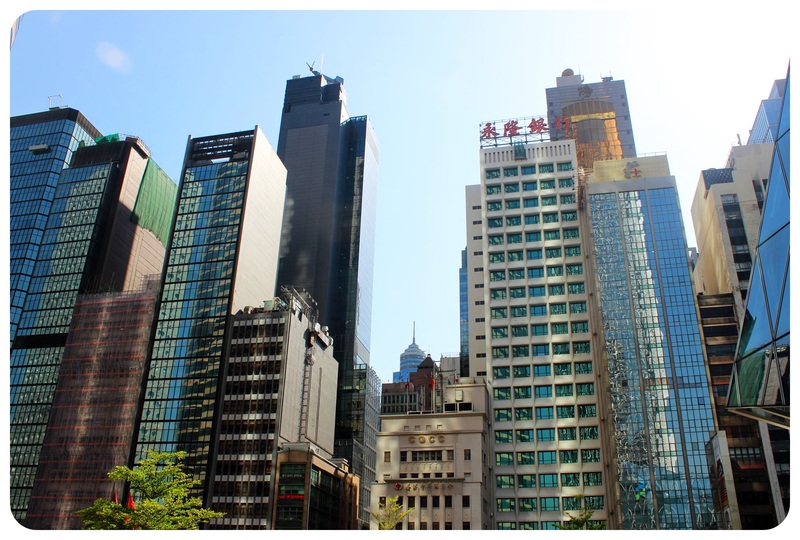 Overall, I think the hotel is perfectly located to explore Central, Wan Chai and Sheung Wan, and Kowloon is just a quick subway ride away. As I said before – I was never too upset when it rained because I was looking for an excuse to spend more time in my room – and that barely ever happens! 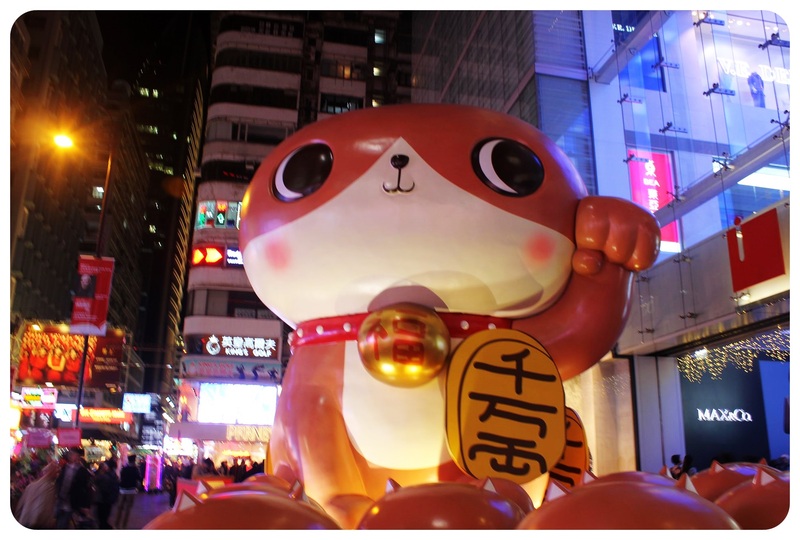 But back then, I also knew that I’d be back in Hong Kong a few months later, and this time around, I’d rectify all the mistakes I had made on my first visit. I arrived energized after a short flight from Bangkok, and when I checked into my cozy room at the OZO Wesley Hotel a little bit later, looking out of the window over Hong Kong Island, I couldn’t wait to head out and take on the city – I didn’t waste any time and went right out to wander the streets of Wan Chai, the neighborhood I was staying in. 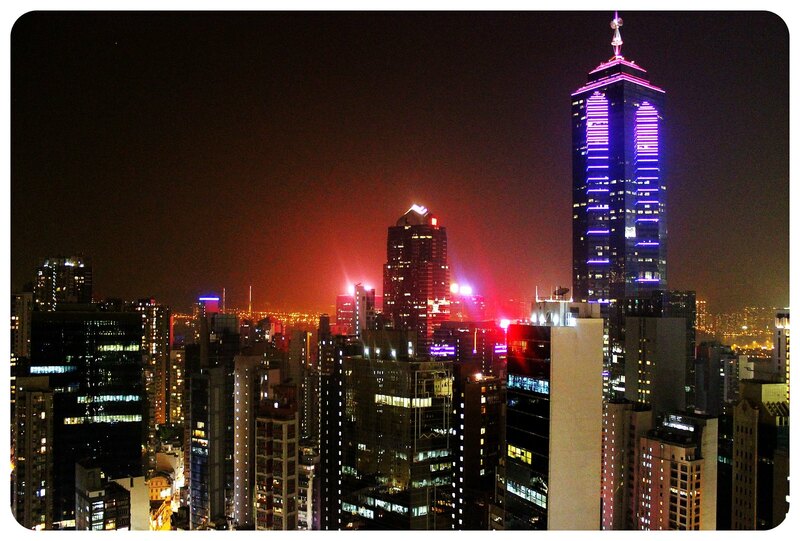 When I left the city six days later, (even though I was nowhere near ready to leave Hong Kong! ), I did so with a smile on my face, knowing I’d made the most out of my visit. 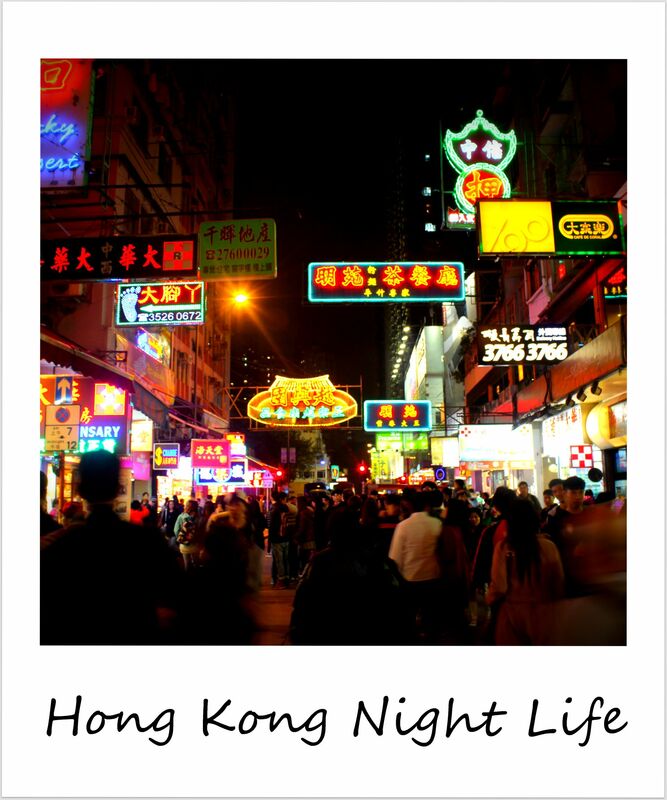 Read on for my tips on how to have a splendid time in Hong Kong, plus my favorite eateries, coffee shops and bars. In the past, I’ve often made the mistake of running through a city and trying to tick off as many sights as possible. I vividly remember my first visit to New York, when I proudly ticked all the famous sights, from the Statue of Liberty and the Brooklyn Bridge to Times Square and the MoMA, the Guggenheim and the Library, Washington Square Park and Central Park, the Empire State Building and Broadway, off my list, but left feeling like I had no idea how the city worked (something I also did on first-time visits to London and Paris, but corrected on later visits). 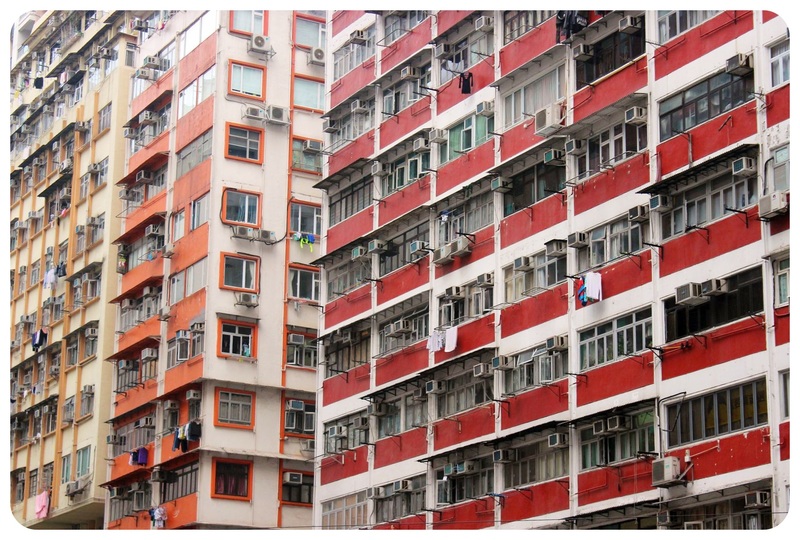 Looking back, my best days in Hong Kong were those when I’d just wander the streets, simply following my gut instead of a map, letting myself drift, sneak into alleyways that looked interesting, popped into coffee shops that give off an irresistible smell. 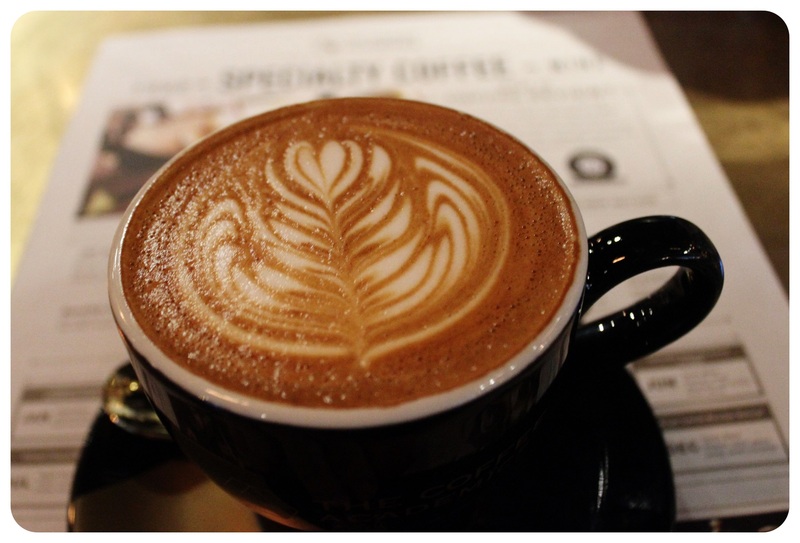 That’s how I found some of my favorite coffee shops in PoHo and Wan Chai – my two favorite neighborhoods in Hong Kong. One thing I’d found frustrating during my first visit was that I didn’t seem to be able to find any good vegetarian food. 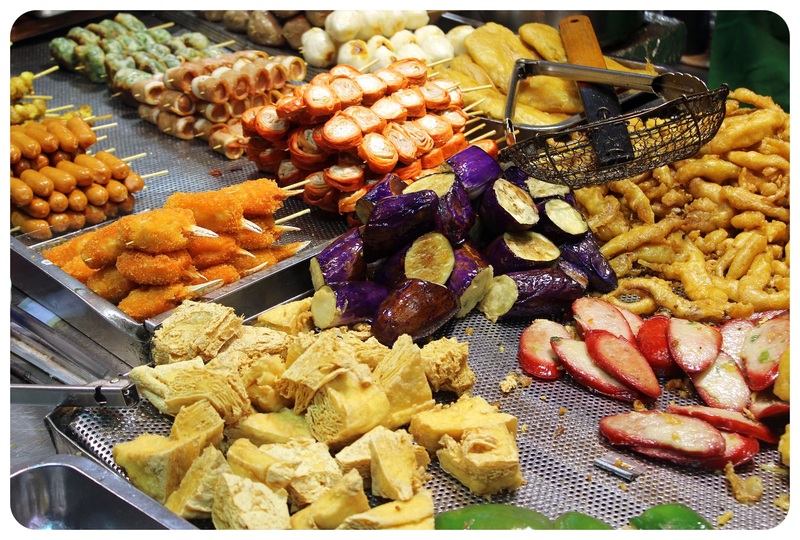 Sure there are literally thousands of places to eat in Hong Kong, but to seek out the good vegetarian options, you’ll have to research beforehand. Usually my belly was already rumbling when I headed out to eat, which led me to eat in mediocre places a lot, because all the ones that were recommended online were too far away. The second time, I knew exactly where I wanted to eat, and I had researched my options well in advance, so that I wouldn’t have a single meal that was just meh. After months in Asia I was craving a decent slice of pizza for example, and I was thankful that Hong Kong’s food options are so international that I could get just about anything. 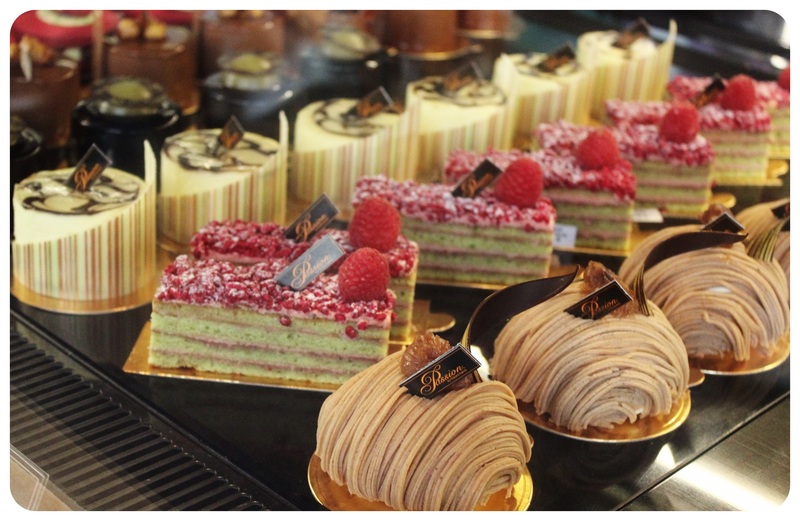 The same goes for coffee, French pastries (my weakness! 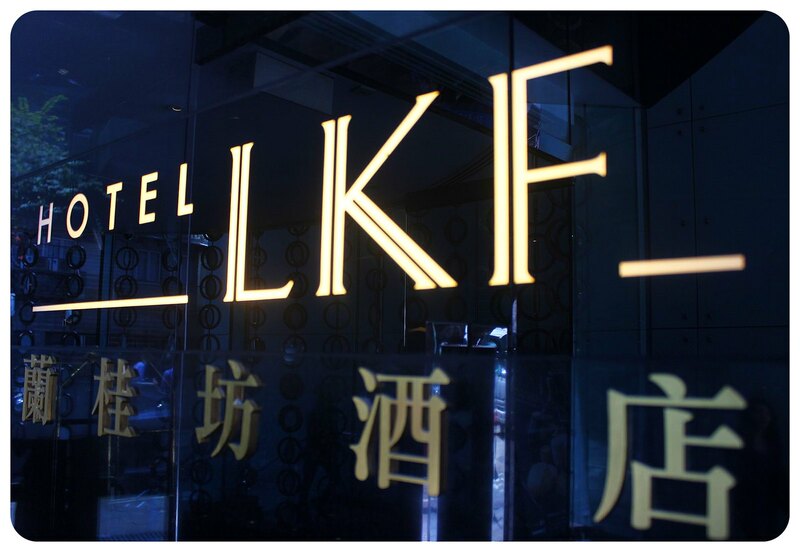 ), American-style brunch and good dim sum. (See below for some recommendations for my favorite places). 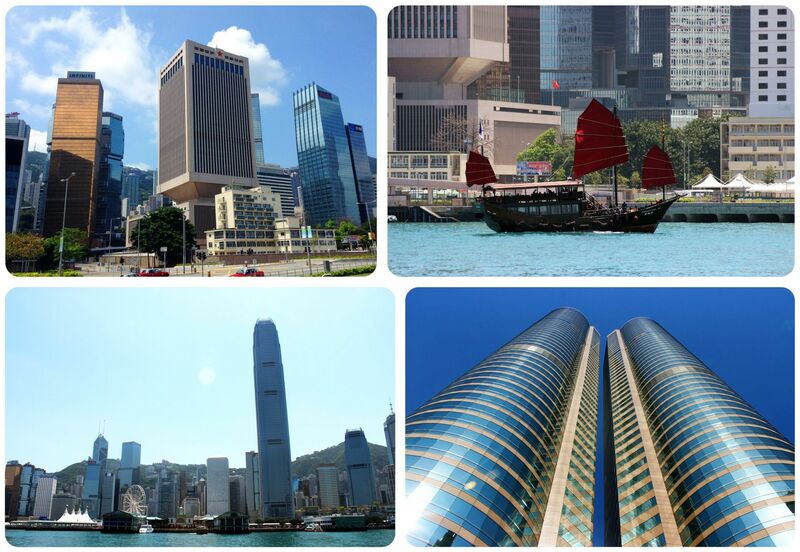 The first time I visited Hong Kong I stayed in Kowloon (the part of HK that is on mainland China), and when I crossed the harbor, I knew immediately that I wanted to stay on Hong Kong Island during my next visit. 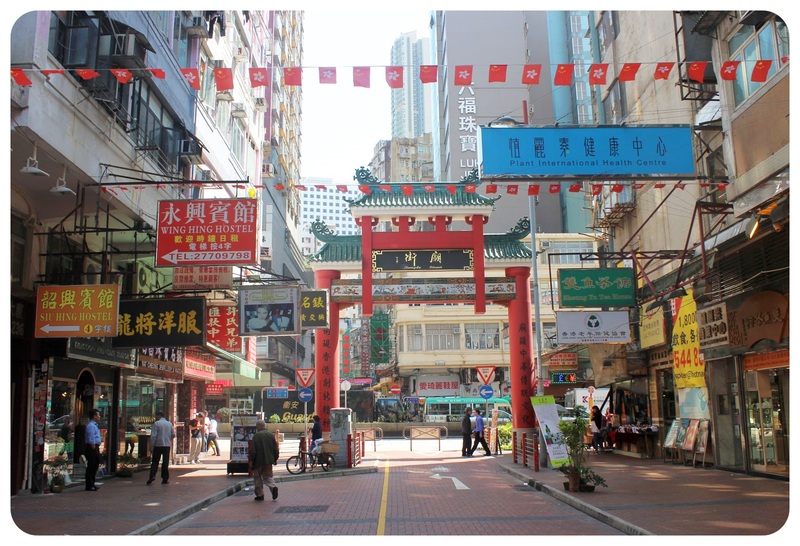 I know that other people prefer the distinctly more Chinese Kowloon side, but I personally preferred Wan Chai and LKF. When you research your hotel options, I recommend making sure it’s near a bus, tram or subway stop and that there are some places to eat around there. While I aspire to go beyond the typical tourist sights these days and prefer to just wander and get lost, as I said before, let’s not forget that these sights are touristy for a reason and can be fun, and why would you want to miss out on views like these? 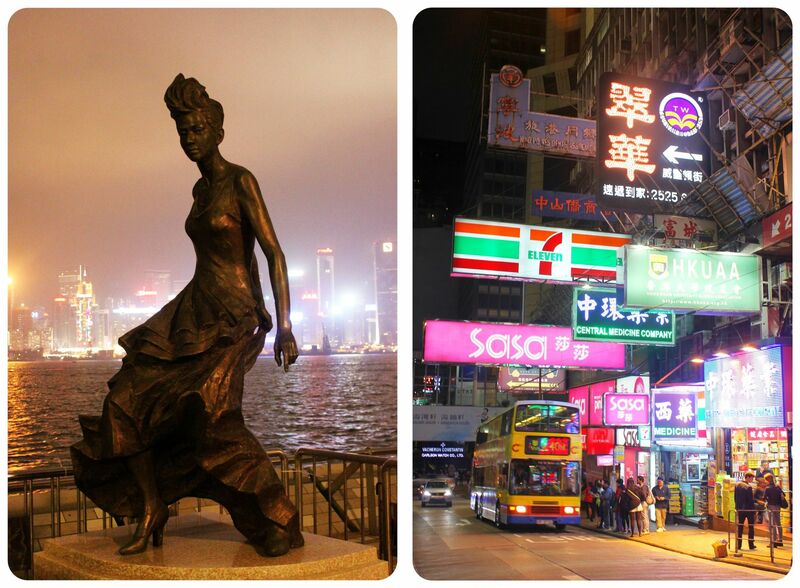 Some of my favorite things in Hong Kong: taking the Star Ferry across Victoria Harbor, strolling along the Avenue of the Stars, watching the cheesy light show that’s displayed on the skyscrapers of Central every night at 8pm, enjoying the views from the Peak and going souvenir hunting in the Ladies Market. Sure, there’ll be crowds, but these are places you shouldn’t miss. And if you really dislike crowds, find the hiking path up to the Peak instead of going up via the tram (and save the HKD40 / US$5.16 for a return ticket). I found some very quiet spots along the way and up on top. There is also a well-signed 1-hour hike on top of the mountain to escape the crowds (even though it wasn’t horribly busy when I was up there). 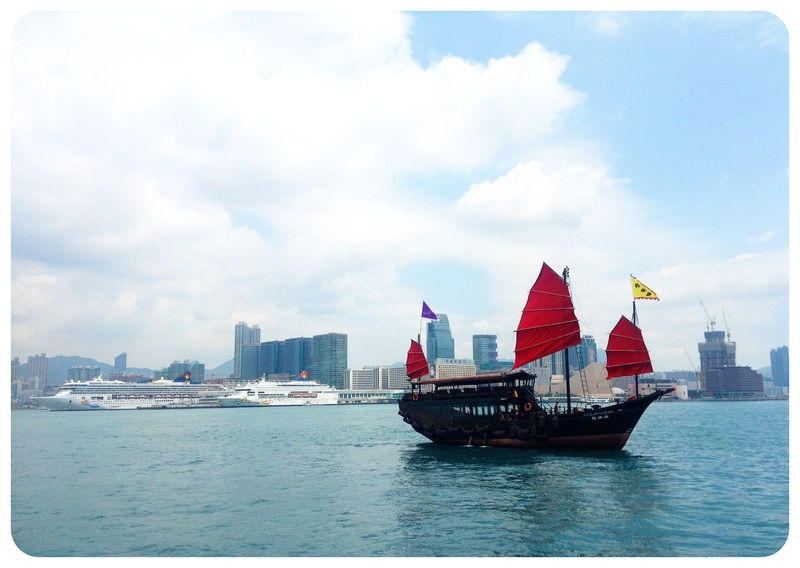 The best thing I could do in Hong Kong was allowing myself an extra day, which is what I did during both my visits. The first time the extra day was much needed to get over my jet lag (or at least to attempt to get over it), the second time it was raining on and off, so I was glad that I had some wiggle room to do certain things (like the Peak, which is best done on a sunny day, when the views are good). Public transportation: Buses, trams and the subway are the cheapest way to get around, and I always felt safe on public transportation, no matter what time of day or night. I found the subway system extremely easy to navigate. Subway tickets range from about HKD5 to 15 (US$0.65 – $1.95), depending on the length of your trip. 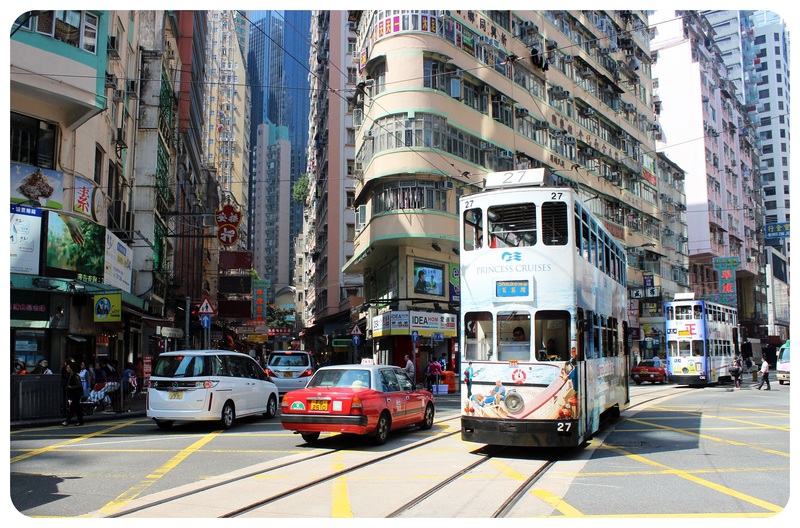 The tram (dingding) is slow but a scenic way to see the northern part of Hong Kong island. It’s also super cheap at HK$2.30 (US$0.30). If you’re planning to use public transportation a lot, consider buying a 1-day tourist pass for HK$55 (US$7.10). There is also the option to buy an Octopus Card, similar to the Oyster Card in London, to which you add any amount you’d like. You can also use this card to pay in many cafes and shops around town and you can load money on it in 7-11 stores or at an MTR (subway) service center. 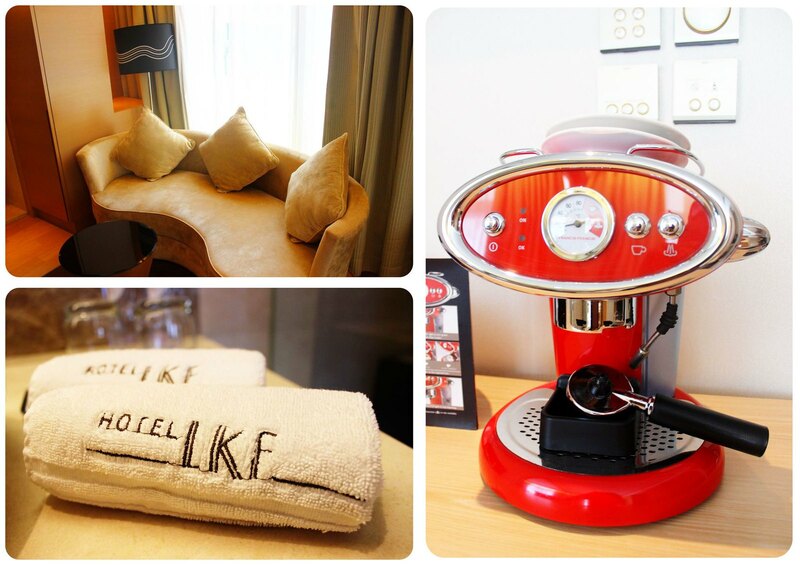 You’ll pay a HK$50/US$6.45 deposit – don’t forget to get it back before leaving Hong Kong. Getting from the airport into the city: The fastest way is the Airport Express Train, which is HK$90/US$11.61 to Kowloon (HK$160/US$20.64 return) and HK$100/ US$12.90 (HK$180/US$23.22 return) to Hong Kong Central. 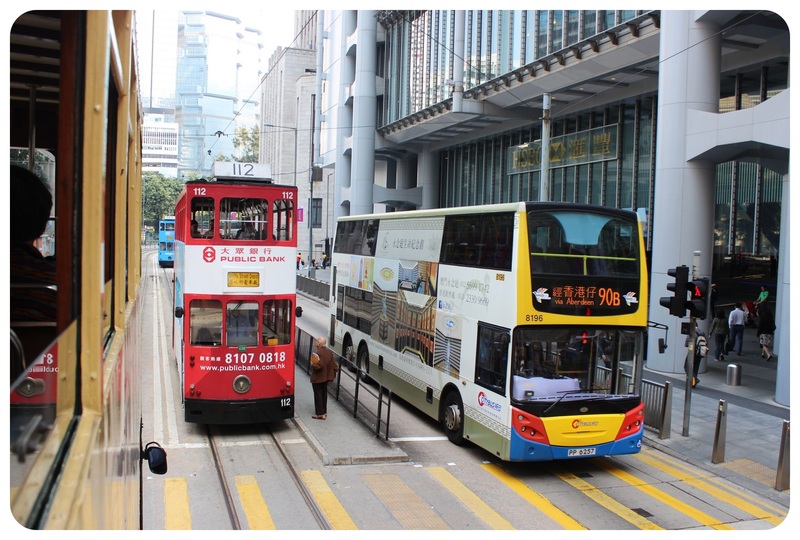 There are direct bus connections from the airport to Kowloon – slower, but considerably cheaper at HK$39 /US$5.03). 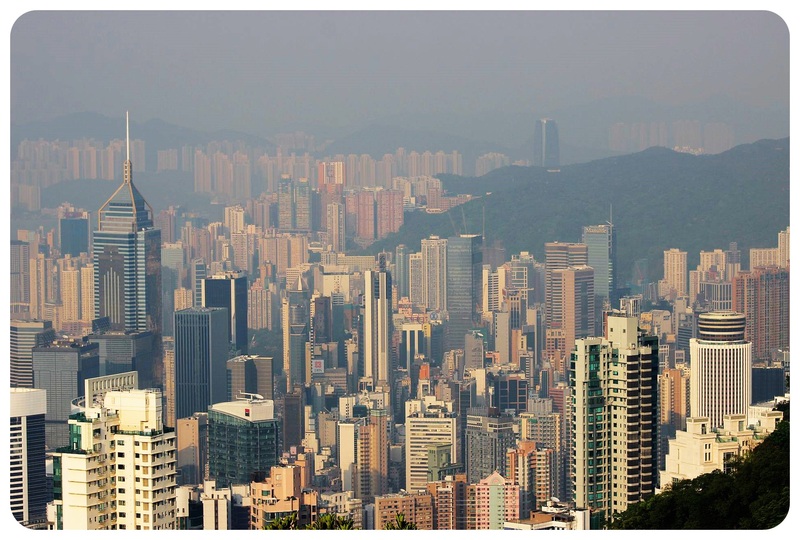 How much money do you need: I’ve already told you that I found Hong Kong surprisingly expensive, but Hong Kong has been listed as one of the world’s ten most expensive cities for the past few years now, so I shouldn’t have been all that surprised. 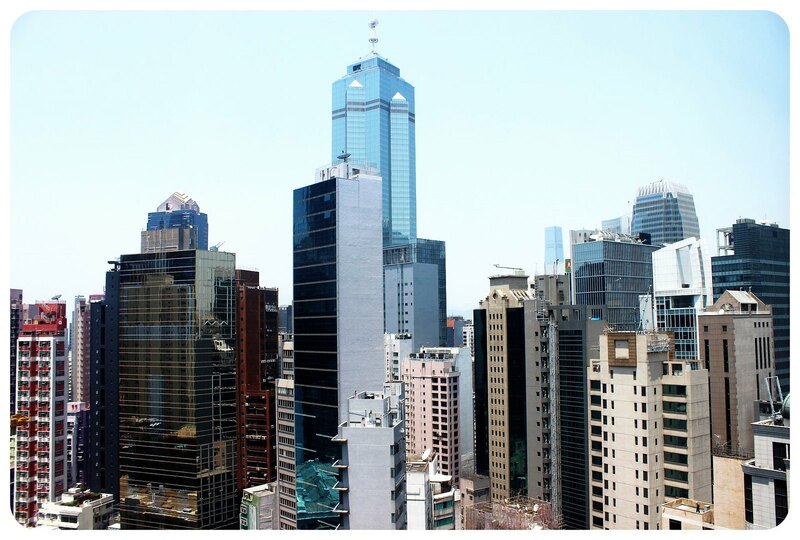 Don’t expect it to be as cheap as most other Asian countries, but considering that it is one of the priciest cities to live in, I have to say though that I find Hong Kong still affordable. As I’ve mentioned above, public transportation is very cheap – crossing from Central to Kowloon or vice versa on the Star Ferry is even only HK$2.50 – US$0.32!Hotels start at around $110 for a decent 3* hotel, and you can find really great hotels for less than $200. A dorm bed in a hostel is between $25 – $28, a private room in a hostel starts at $60. 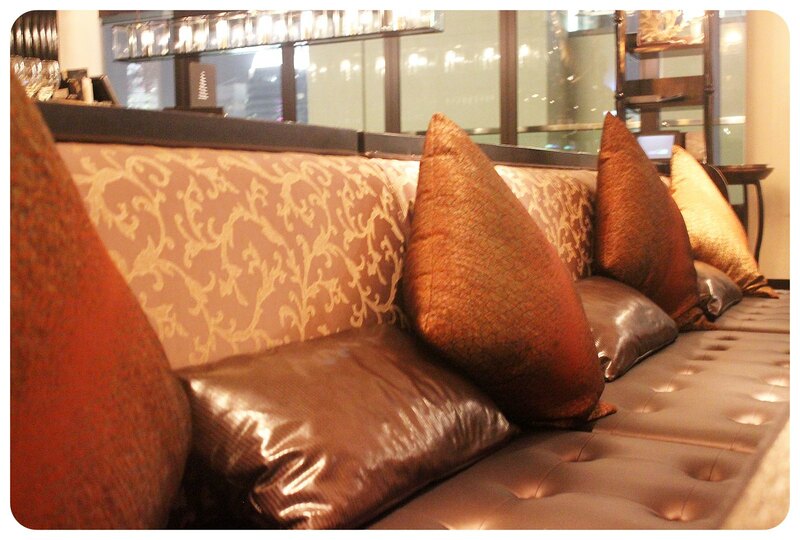 If you don’t need much comfort, you can find a (usually tiny) room for US$40 – $50. 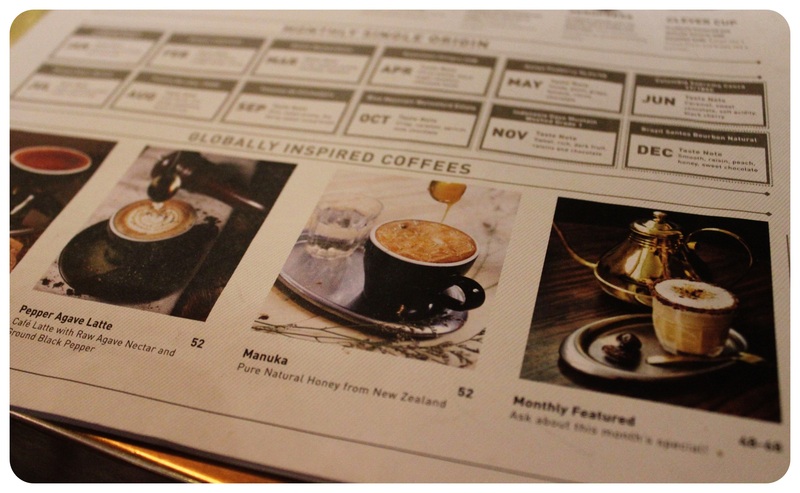 Expect to pay around US$3 for a cup of coffee / US$6 for a latte (in a proper coffee shop, not at McDonald’s. A grande americano at Starbucks is HK$27/US$3.48), and around US$10 for a cheap meal. When I spoiled myself, I easily spent US$20+ on a meal and a drink though. A glass of beer starts at US$7, a glass of wine is around US$10. Beer and wine in a 7-11 or supermarket is considerably cheaper, however. If you’re on a super tight budget, you can get by with US$20 a day for food (if you don’t mind eating at McDonald’s and 7-11). 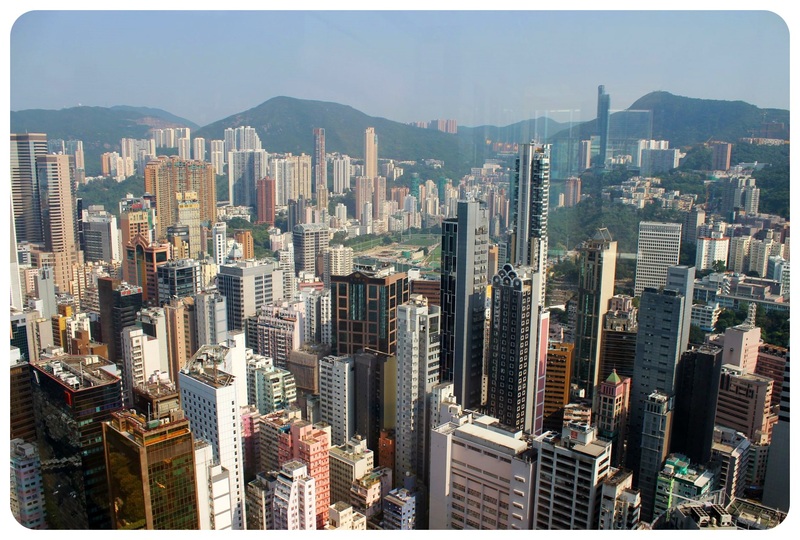 I also found that you can do most sightseeing for free – you don’t have to pay for the Peak, if you hike up the hill mountain, and instead of paying HK$168 /US$21.67 at the Sky100 Observatory Deck, you can get free views from the Central Plaza Observatory Deck. 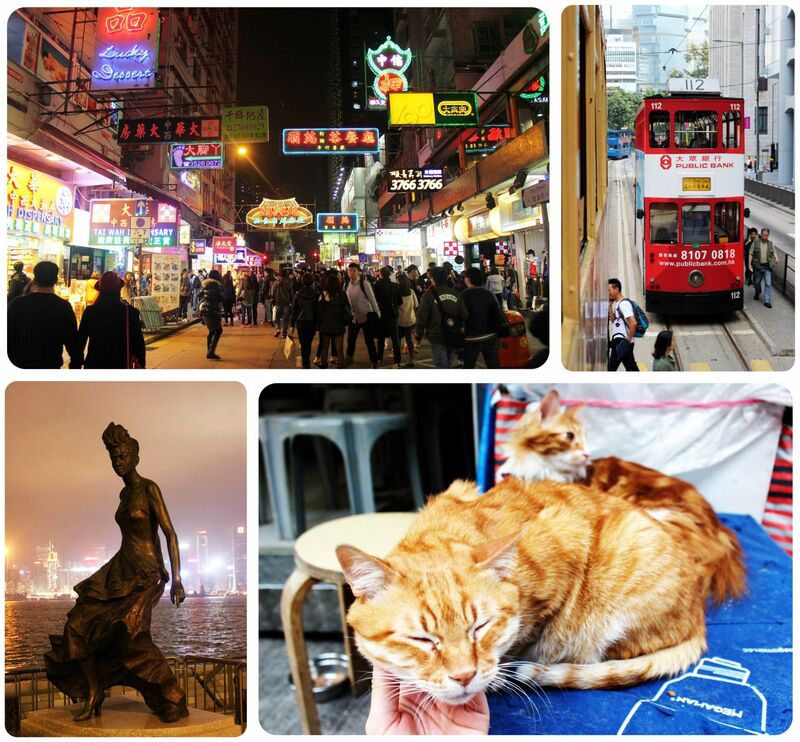 Have you been to Hong Kong? 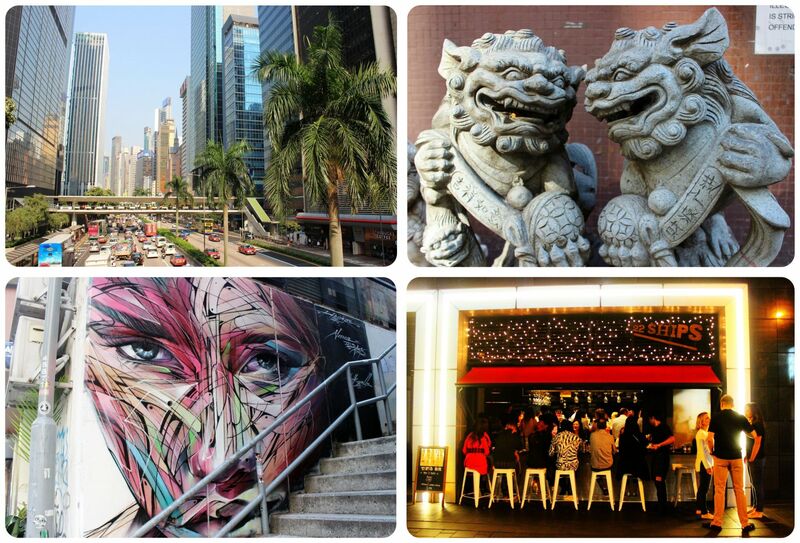 Feel free to share your tips on how to have a great time in Hong Kong in the comments below! Arriving in Hong Kong from Stockholm, which had felt eerily empty during my visit, was absolutely overwhelming. There were crowds everywhere, and I hadn’t experienced large numbers of people in this way since leaving New York last November. 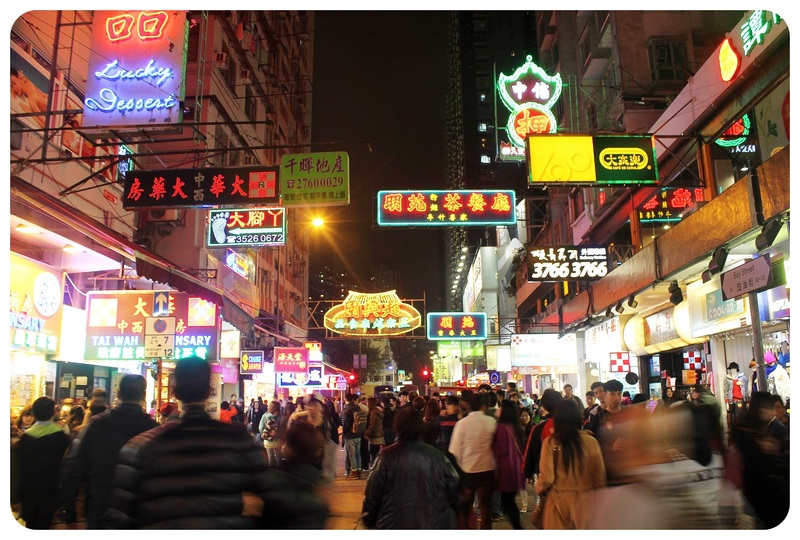 Especially in the Kowloon neighborhood, where I was staying in the beginning, the streets were always packed with people. The subway was just as busy as the tube in London at rush hour, and most streets felt as busy as the streets around Times Square in Manhattan. 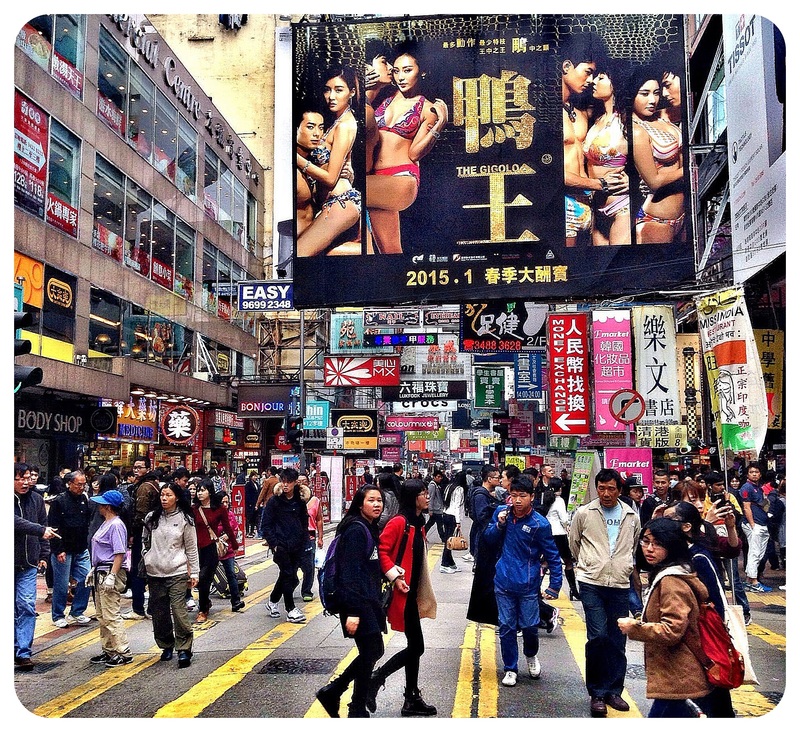 It took me a few days to get used to how crowded Hong Kong felt. I have to admit that I had no idea that Hong Kong was that hilly! 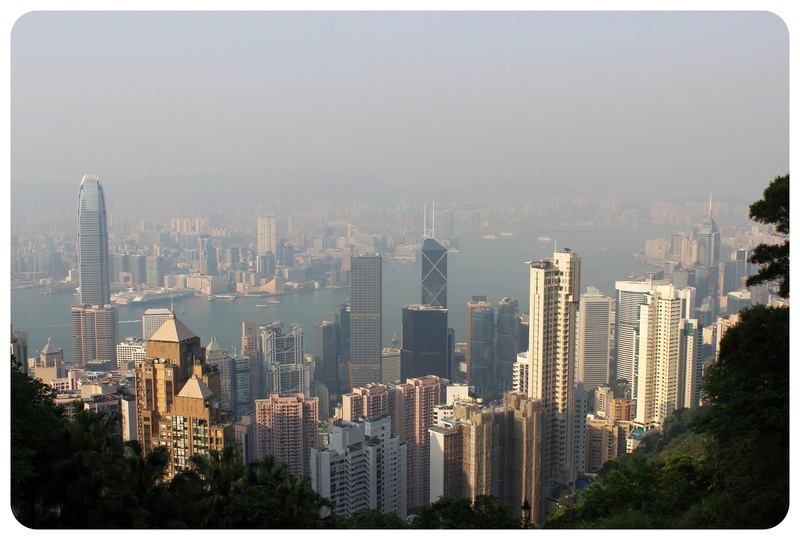 There aren’t a lot of hills in Kowloon, the part of the city that is connected to mainland China, but on Hong Kong Island, I found myself huffing and puffing up and down steep hills constantly. 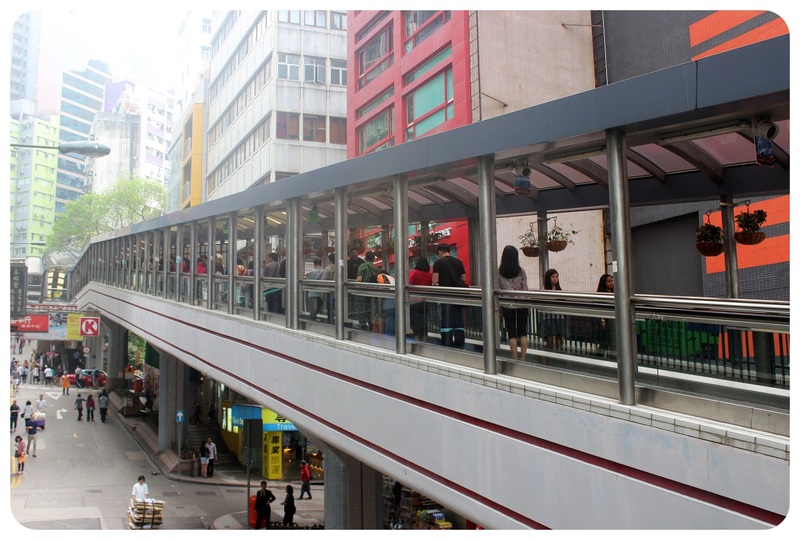 That’s why on Hong Kong Island, you find the world’s longest covered outdoor escalator, the Central–Mid-Levels escalator, which transports more than 55,000 people every day from the lower Central neighborhood to the mid-levels. The escalator has a vertical climb of 443ft (135 meters) and is 2,600 feet (800 meters) long. 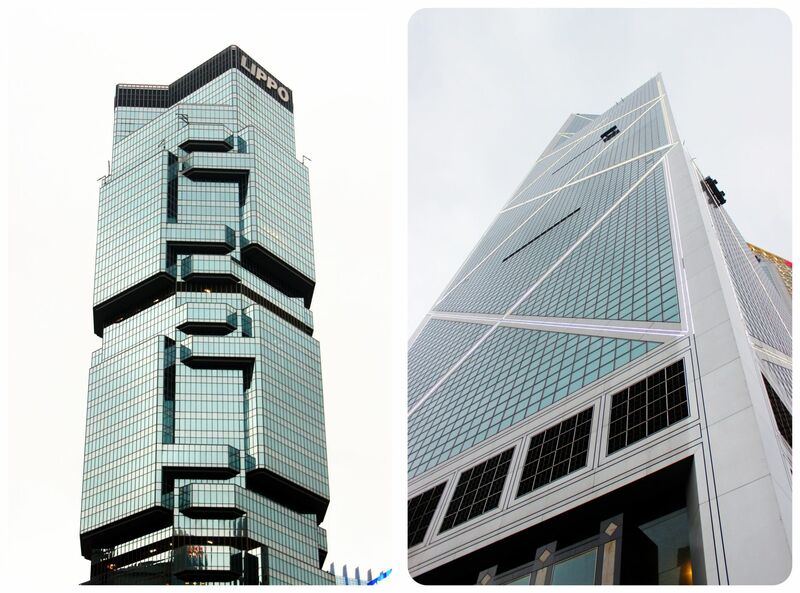 Since the financial district of Hong Kong is located in Central (at the bottom of the mountain), the escalators and walkways move downwards in the morning to transport workers from the higher located condominium buildings to their offices. After the morning rush hour, the escalators move upwards. 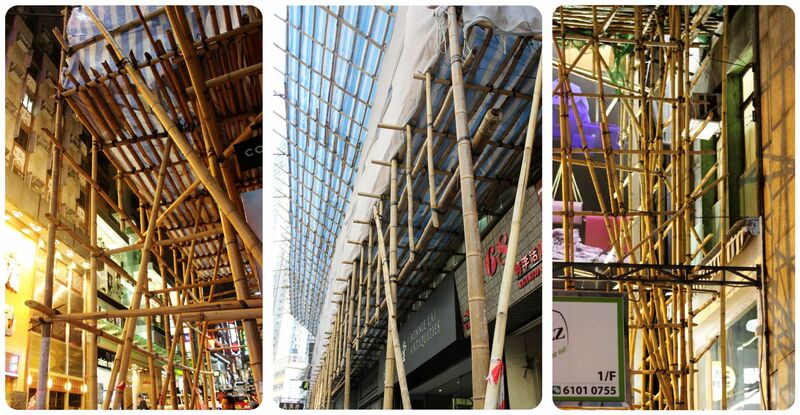 Considering how modern and developed Hong Kong is, it struck me as surprising that all the scaffolding I saw around town was made from bamboo. I hope the skyscrapers were built with more sturdy scaffolding.. but bamboo seems to be much more robust than I thought – who knew! 4 Hong Kong is hip. 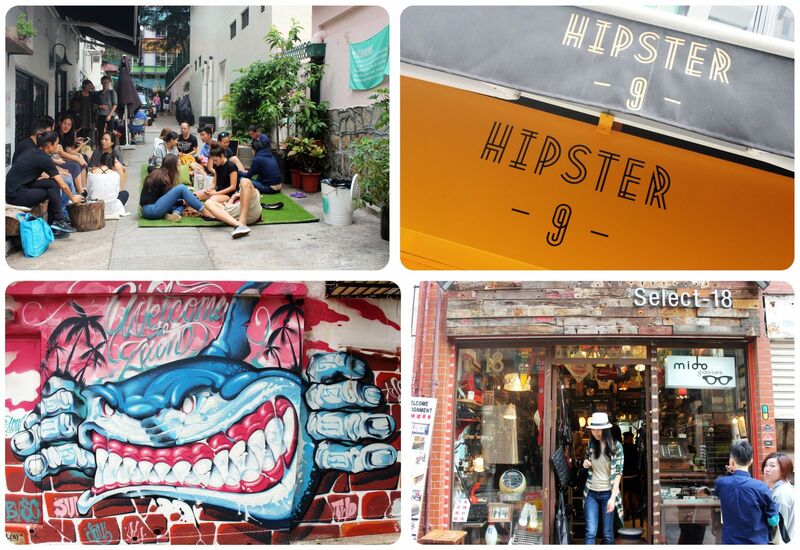 Who knew Hong Kong was so hip? 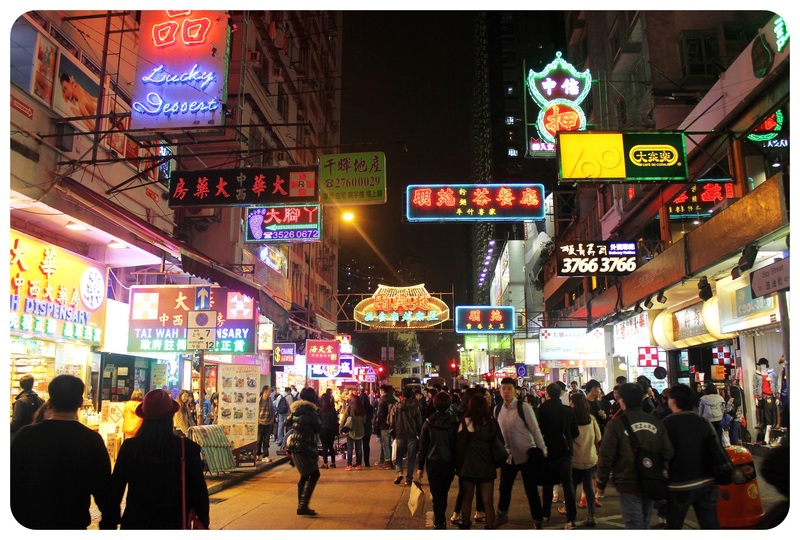 Especially the Poho neighborhood (short for Po Hing Fong, in the Sheung Wan District), filled with trendy boutiques, independent coffee shops, hip restaurants and chic bars seemed to be the favored hangout for Hong Kong’s 20something trendy professionals. Street art was ubiquitous here, and young entrepreneurs keep moving into the neighborhood, opening artisan bread shops and organic bistros and other businesses. I was surprised to see so many different nationalities in Hong Kong – not only Westerners, but also a lot of other Asian nationalities and Indians. When I was walking through the Financial District on a business day, I usually encountered more Westerners in suits than Asians! 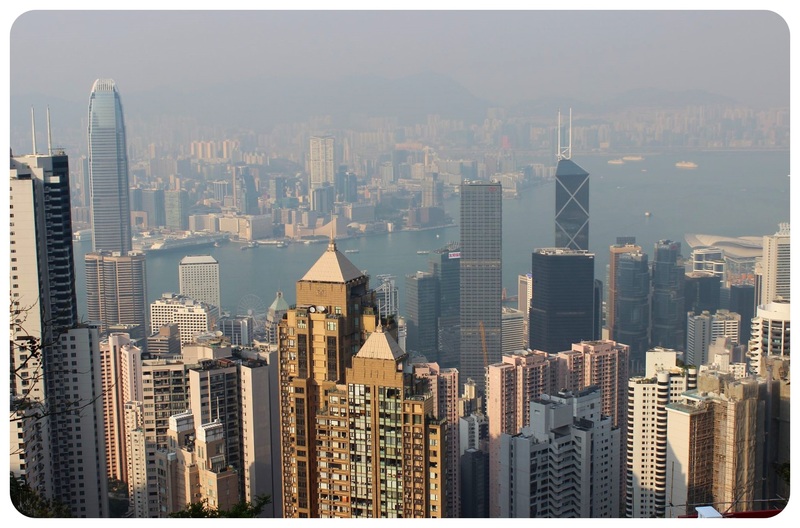 I know that Beijing and other Chinese mega cities are notorious for their air pollution, but I didn’t know that Hong Kong was just as polluted. The skyline pictures I had seen prior to my trip, taken from the famous ‘Peak’ viewpoint high over Hong Kong, usually made the city look like it had clear skies. During both my visits, however, the air was polluted and the city was constantly covered in a cloud of smog. I later read that air pollution has become a serious problem in the past 20 years and the number of asthma and bronchial illnesses has soared considerably. 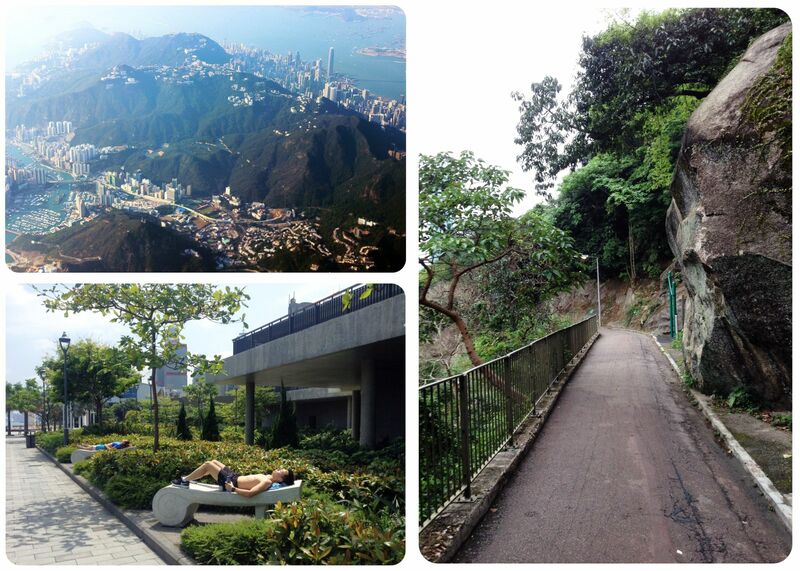 While the air might be polluted, Hong Kong is still home to an amazing amount of green spaces. Trees are everywhere, the city is infused with little parks and within minutes you can get to a green space to go on a wilderness hike. I was amazed to see how green the city was when I hiked up to the top of Victoria Peak through a number of parks, and when I ran along the Bowen Road Fitness Trail high above Wan Chai, the woods gave me an idea of the jungle this island used to be covered with, before it was changed for a massive concrete jungle. Considering that Beijing supposedly has 9 million bicycles, it was an astonishing surprise to not see any bikes in Hong Kong. I had even seen cyclists in the crazy traffic of Bangkok – only a few, but still – there surely must be cyclists in Hong Kong?! I paid more attention to it on my second visit, convinced that I must have overlooked the bikes the first time around, but still: no bicycles! 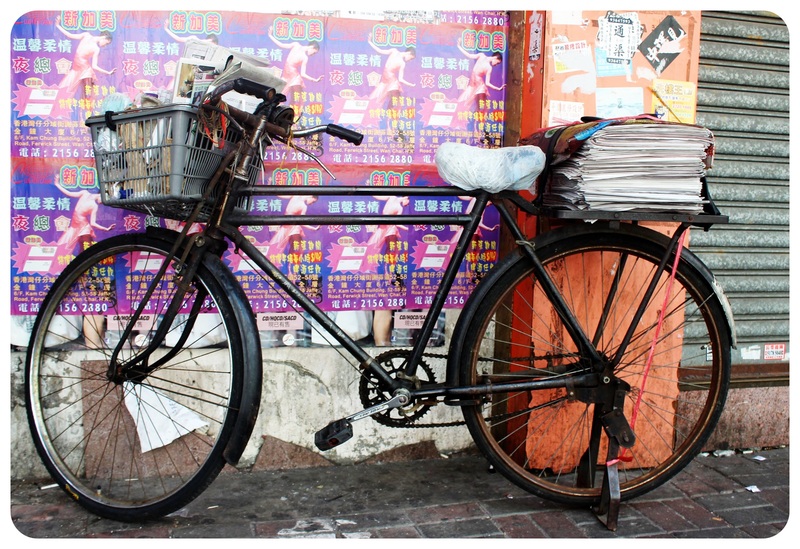 I was ecstatic when I finally spotted a bike in Wan Chai, but I didn’t see any cyclists anywhere, neither in Kowloon nor in Hong Kong Island. (Note: I am sure there are bicycles somewhere in Hong Kong, but I just haven’t come across them, which is why I included it here. Please don’t take it too literally 😉 ). A pleasant surprise! Having heard from travelers that it is hard to find good coffee in China, known as a tea nation, I wasn’t expecting much on the coffee front in Hong Kong.. only to find more specialty coffee shops, coffee roasters and coffeehouses than I could possibly try during my stay. I was ecstatic about the amount of excellent coffee shops in Hong Kong and will share all my favorite places for a caffeine fix in my next post. The first time I visited I came from Sweden, a pretty expensive country by European standards – and Hong Kong still felt more expensive. The second time I came from Thailand, where everything is cheap, and Hong Kong felt shockingly expensive in comparison then. 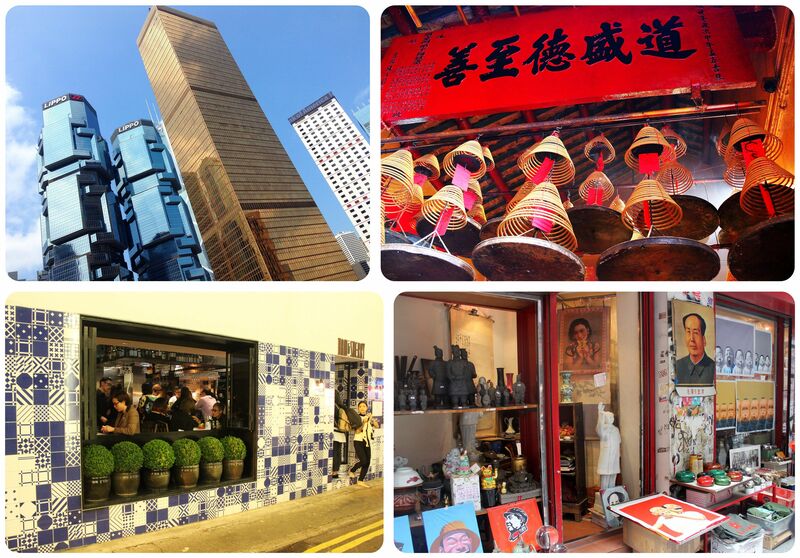 Hong Kong didn’t just feel expensive to me though – it was pricey even compared to New York. I have yet to visit another place in the world where I pay more than $6 for a Flat White (coffee), and the price of a pizza at Pizza Express was £13.53 – the exact same pizza in a London Pizza Express is £12.50. Motorino’s charges $17.80 for a Margherita Pizza in Hong Kong, while it charges $15 for the very same pizza in Manhattan. Alcohol was pricey too, with a glass of wine or a beer usually starting at around $9. Hotels and hostels are also very expensive, as are clothes – the only thing that is surprisingly (and disproportionally) cheap is public transportation, with tram rides costing $0.30 and subway rides averaging between $0.64 and $1.55, depending how far you go. 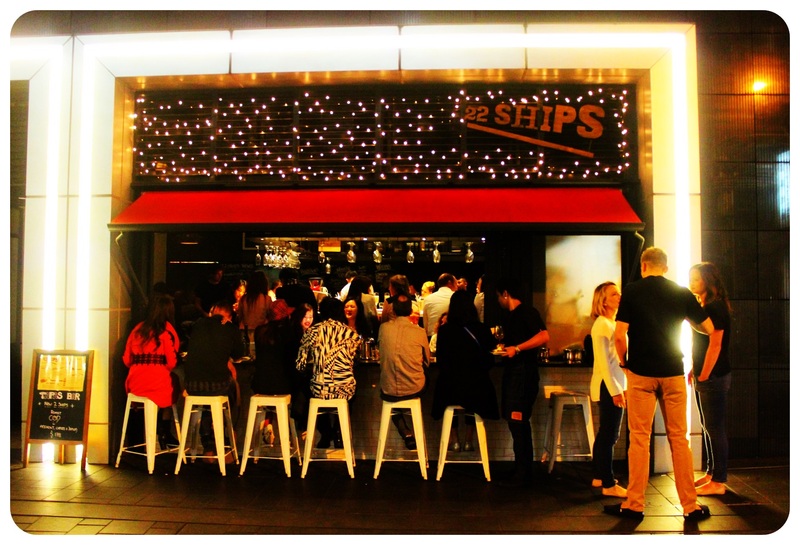 This probably goes along with #5, how international Hong Kong felt: the food scene was much more varied than I thought. 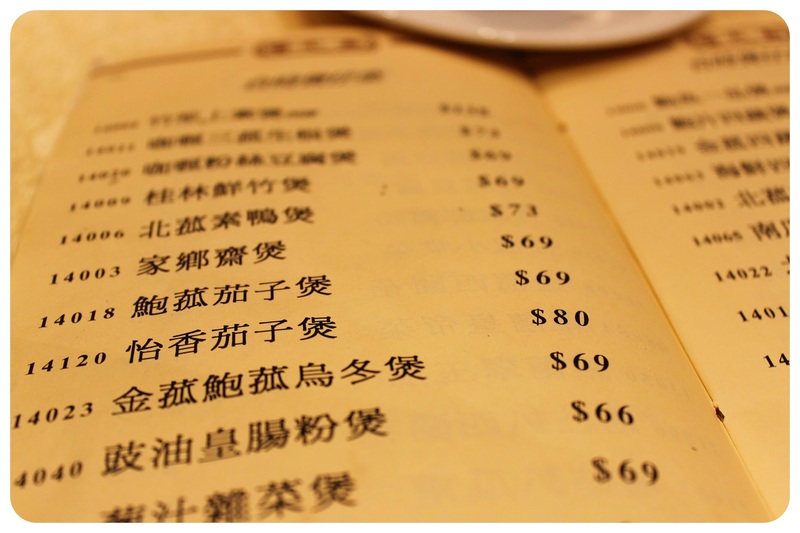 In some parts of the city I came across more international restaurants than traditional Chinese eateries. 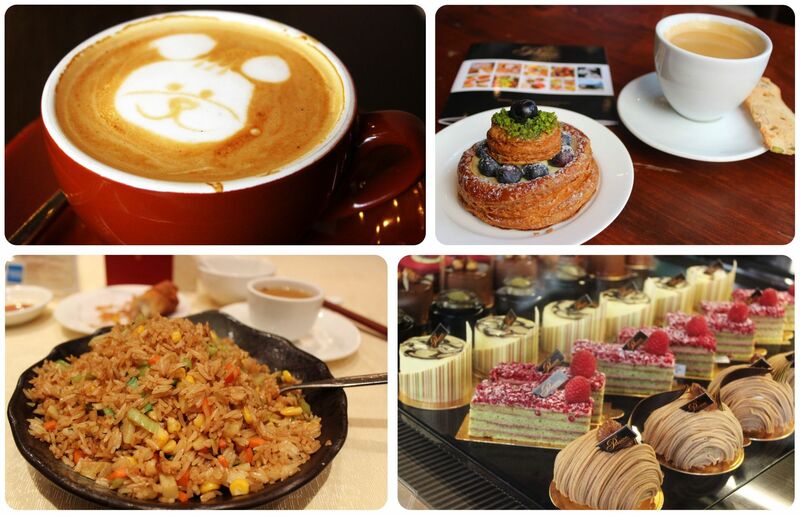 French bakeries, American-style brunch places, British chain restaurants like Pizza Express but also an outlet of New York specialty pizza joint Motorino’s, Italian pasta places and bagel cafes – in Hong Kong, you can find it all. For someone like me who isn’t the greatest fan of Chinese food, Hong Kong’s varied food scene was heavenly. I understand now why Hong Kong sees such an influx of visitors from mainland China: the internet is super fast, and there aren’t any websites blocked, unlike in China, where you can’t access sites like Google, Facebook or Twitter. Hong Kong also offers free wi-fi in many public spaces and parks, and almost all restaurants and coffee shops offer free wi-fi. After having been dogged by bad luck with well-working wi-fi in Thailand, it felt amazing to be connected at all times again, and to be able to even stream movies! 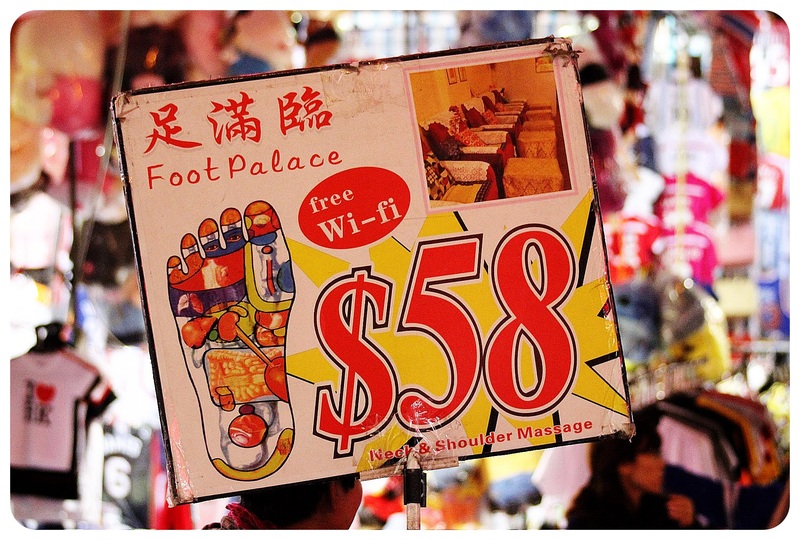 Even massage places have free wi-fi! 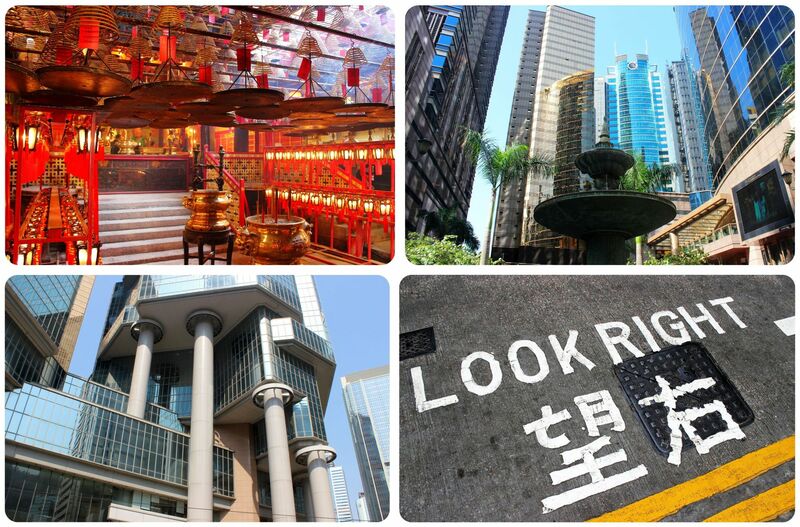 Have you been to Hong Kong? What are the things that surprised you? Returning to Hong Kong felt bittersweet – it is the place where my winter escape to South East Asia started and now came to an end. 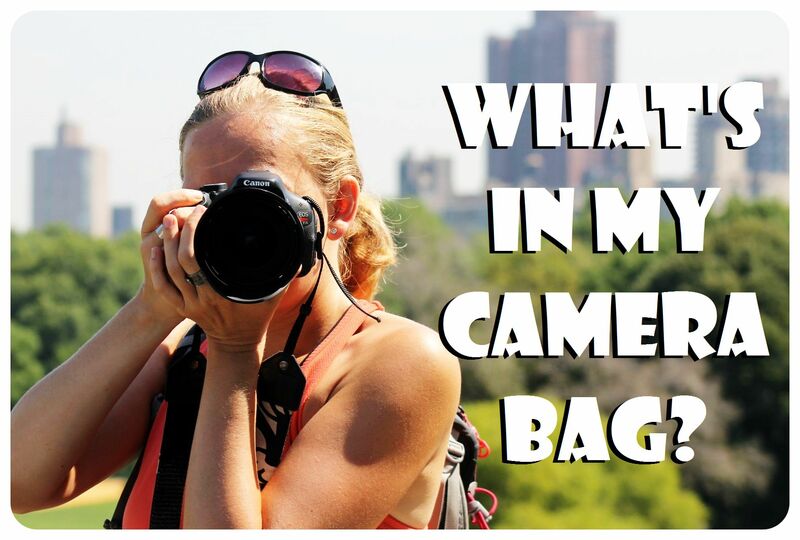 For my second visit to this fascinating city, I was armed with lots of energy, adventurousness and a plan of action (a sharp difference from my first visit when I was jetlagged, poorly prepared and burned out). I was excited to be back, because even though my first visit felt like a bit of a failure, I had loved the dynamic atmosphere of the city back then and was eagerly awaiting my second visit. 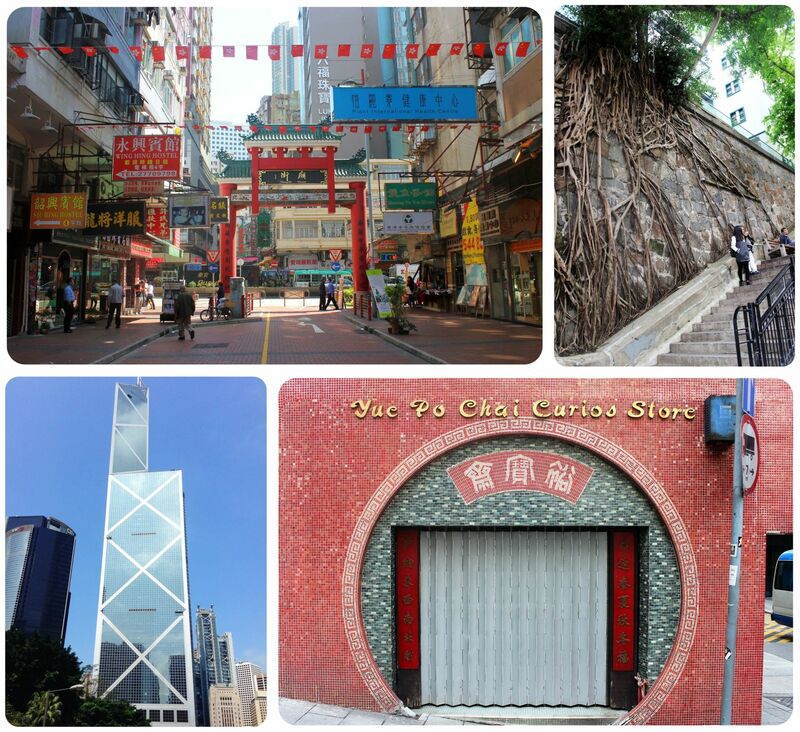 I had nearly a week in Hong Kong which allowed me to explore the city at a leisurely pace instead of rushing around. 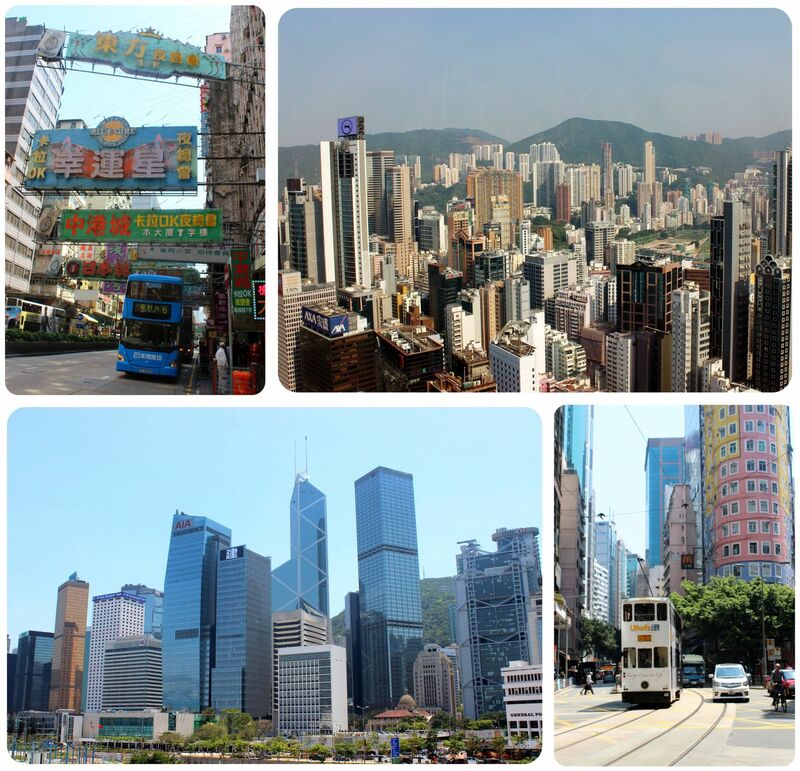 I visited several neighborhoods, saw the main sights, went for long runs, hung out in trendy coffee shops, ate amazing food, caught up with friends and finally hiked up to The Peak, Hong Kong’s famous viewpoint that offers sweeping views over the harbor, Hong Kong Island and Tsim Sha Tsui from the island’s highest peak, Victoria Peak at 554 meters (1,818 feet). 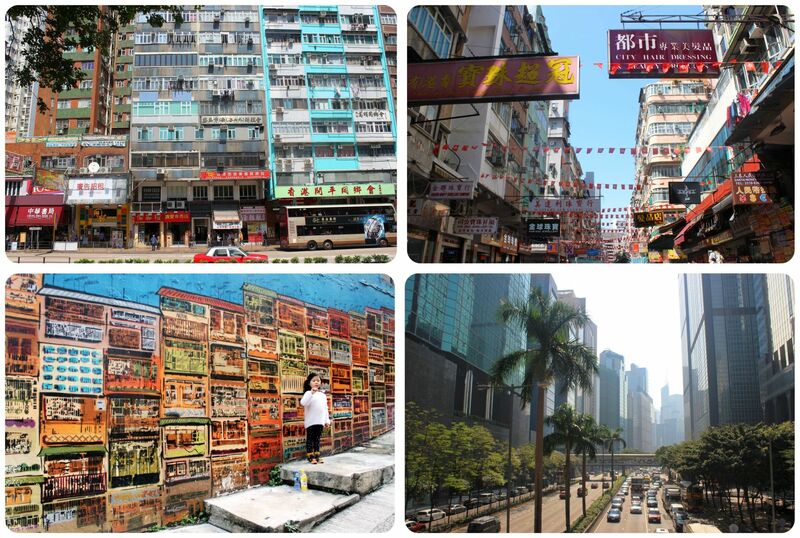 I stayed in two different neighborhoods during my visit – first in Wan Chai, which many people claim is the heart of Hong Kong, filled with traditional shops and markets but also offering a booming restaurant scene; and then in Lan Kwai Fong, known as the city’s nightlife center with a maze of narrow streets that is home to more than 90 bars and restaurants. 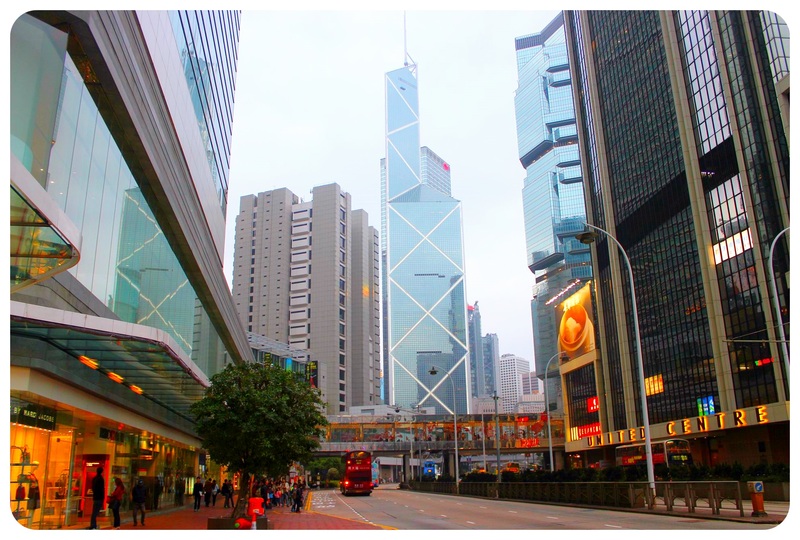 During my last visit, I was staying on the Kowloon peninsula, but this time around I spent most of my time on Hong Kong Island, which I immediately grew fond of when I was visiting back in January. My favorite thing to do was – like last time – just walking around the neighborhoods, soaking up the city and randomly stumbling across quirky and exciting happenings, like an Annie Leibovitz exhibit that made my photographer’s heart beat faster, a free wine festival, free outdoor gym classes or a cat cafe (I couldn’t resist!). 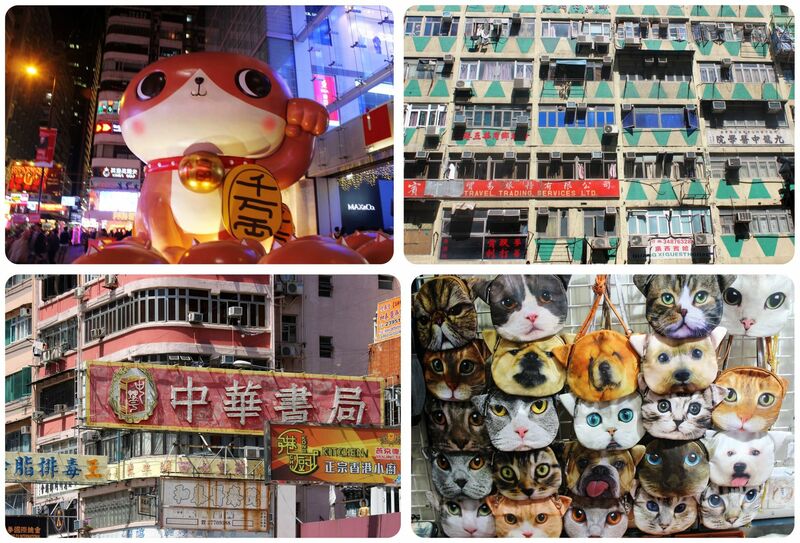 Hong Kong charmed me once again, and I am sure I will be back soon. 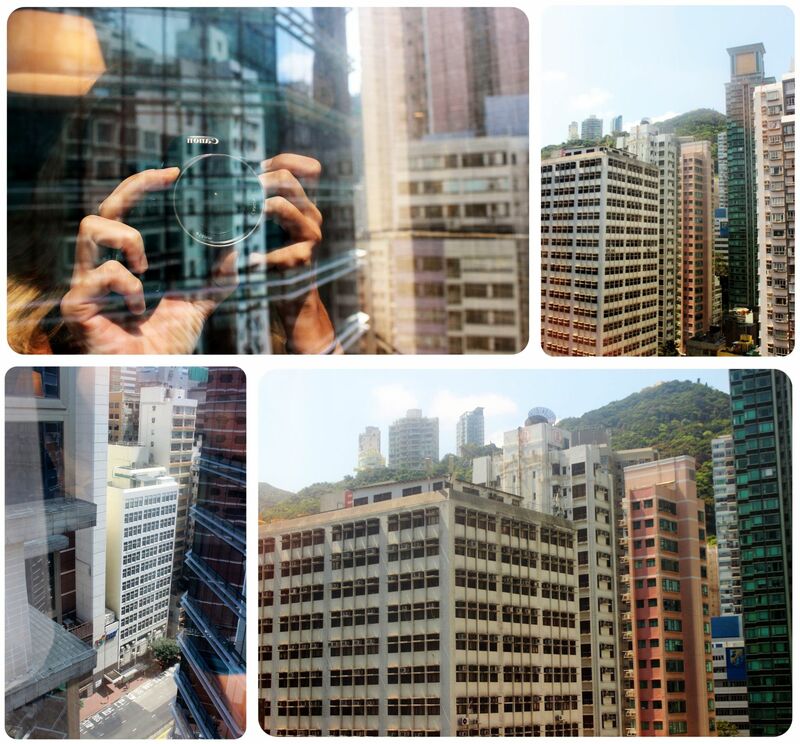 I had it all planned out so well: three full days as a teaser in Hong Kong (I knew I’d be returning in the spring and wanted to see more of the city in warmer weather). My plans included heading up to the famous Peak for the views, taking the Star ferry ride from Kowloon to Hong Kong Island across Victoria Harbour, hiking up to the Big Buddha, exploring the hipster neighborhoods, have drinks with a view at one of the famous rooftop bars, see the nightly light show, eat dim sum at the world’s cheapest Michelin star restaurant. Instead, I failed miserably at Hong Kong. I was already off to a bad start when I found myself frantically searching online for a hotel only a few hours before my flight to Hong Kong would depart from Istanbul. What I found, didn’t look great. Prices were outrageously high and the rooms that were still available for my arrival date the following day were all subpar. When all the reviews are only 2 out of 5 stars or 5 out of 10 points, that’s bad news. 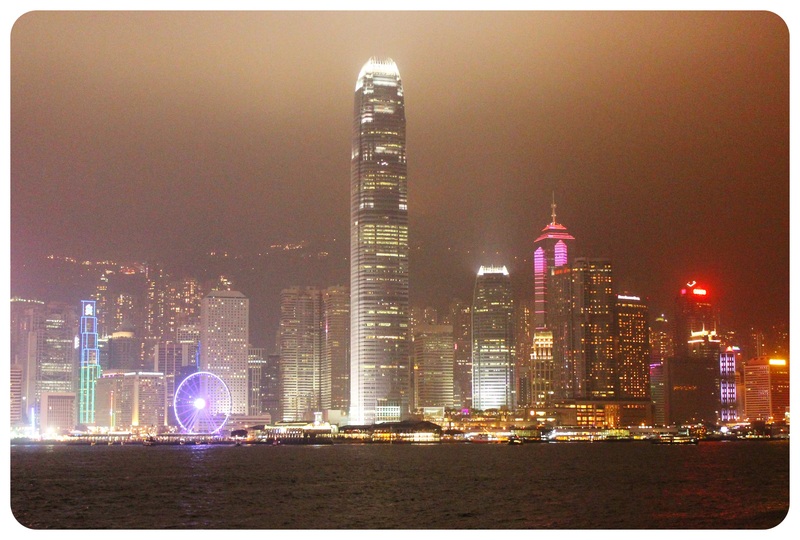 I finally settled for a place in Kowloon that sounded somewhat questionable but not too shady and was close to the Avenue Of The Stars (Hong Kong’s version of the Walk Of Fame) and the waterfront with its famous views over Hong Kong Island. I even invested in an upgrade from a 3 m² to a 5m² room, but only booked it for the first two nights in case it turned out to be terrible. By the time I exited the plane I wasn’t worrying about my accommodation anymore, however. 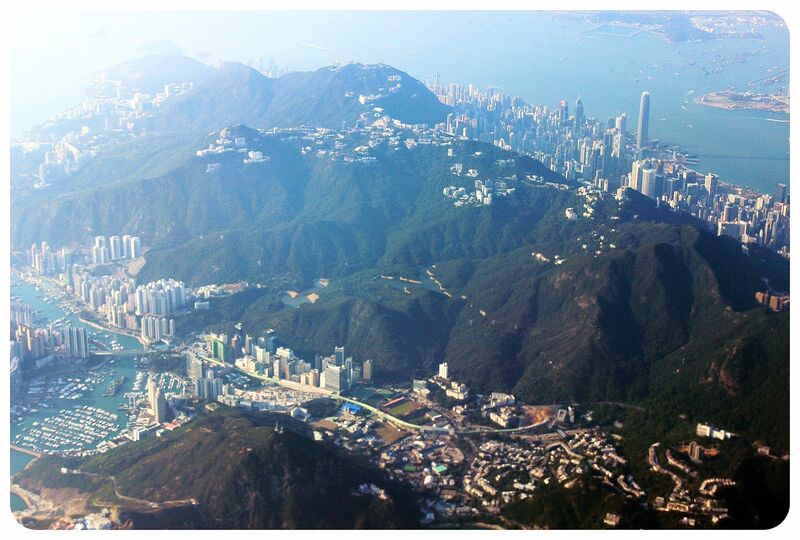 I had arrived in Hong Kong on a sunny afternoon, bright blue skies and terrific views over the city from the plane. I was buzzing with excitement. 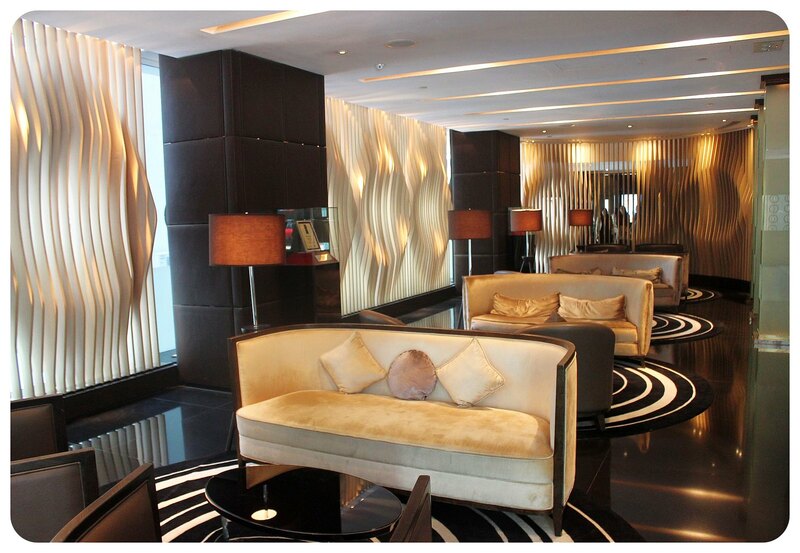 I found my hotel right away, my room was bigger than expected, and the city was electrifying. I headed out to explore my neighborhood and to find some food before I settled in for work. Fail #1: finding food. I just couldn’t find anything vegetarian. The signs were literally Chinese to me, and I had no idea how to order something vegetarian. In the end, I only got me a coffee before I headed back to my room to catch up on work. I could’ve saved me the frustration about the food fail had I just looked up a place on Foursquare before I left my hotel. Back in the hotel, I made sure NOT to beat my jet lag with the absolute rookie mistake: instead of going to bed at midnight when I should have, I stayed up because I wasn’t tired. Next thing I knew was that it was 6.30am! Fail #2. I had totally screwed myself, because now it would take me days to get into a proper rhythm. What I didn’t fail at was reaching out to some locals for insider tips and some company on my first days in town, and so I found myself at a lesbian party the following night. I met a bunch of lovely expats from all over the world who were giving me some insight into the lesbian scene in Hong Kong (which is almost non-existent). Hong Kong girls apparently tend to stick to themselves (rather than mingling with the expat girls) and refer to themselves as sticky rice for that very reason (who knew!). The next morning, I was equipped with loads of tips for what to do and see, but I had yet to change hotels. The night before I had figured I’d just change to another guesthouse in my building, since I was staying in one of these huge apartment blocks that had a number of hotels on each floor, and I had seen several of the other ones online as well. I didn’t consider, however, that it was Saturday and everyone and their mom was coming to Hong Kong for the weekend. Fail #3. I must have spent an hour going from floor to floor to check out every single hotel but they were all fully booked, and the 4-bed dorm I was showed in one place.. Nothankyouverymuch!!! (I am still horrified.) I finally went to a coffee shop to consult the usual hotel booking websites I use to see what hostels and hotels were available for the day, and my good mood disappeared immediately. There were no rooms with a decent rating left whatsoever. I finally settled on one that sounded the least horrible, and splurged on a twin bed room, because the single rooms can be seriously claustrophobic – picture a narrow sort-of closet or Harry Potter’s Cupboard Under The Stairs at the Dursley’s house that just fits a bed, and nothing else. When I saw the signs for by-the-hour hotels and all sorts of massage parlors outside the building, I already knew I would hate the place. 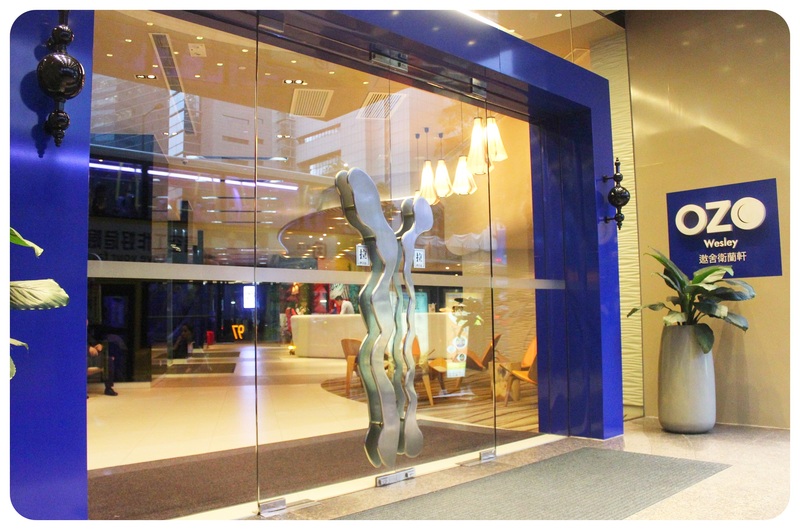 Once I found the hotel in the maze of countless hotels inside the giant apartment block with several entrance doors, it took them an hour to check me in. 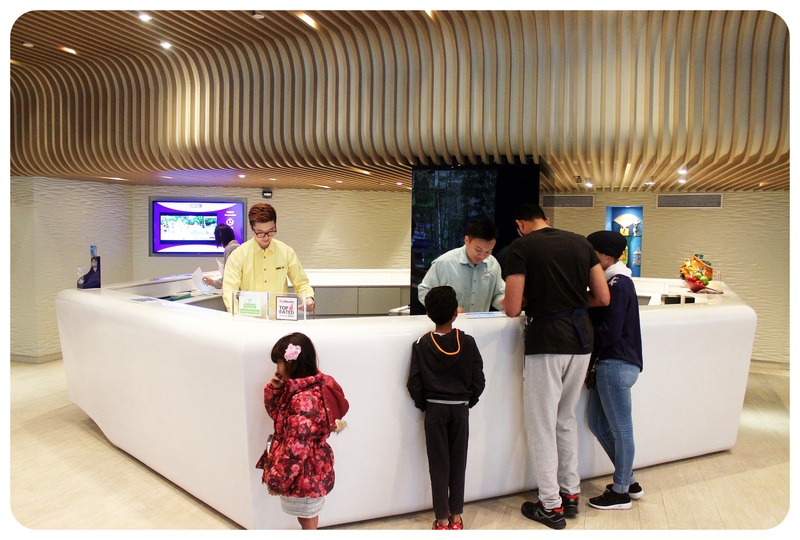 By now, I had wasted nearly half a day on looking at hotel rooms, searching for a room online, moving across town, and waiting to be checked in. When I saw the room, I wanted to cry. 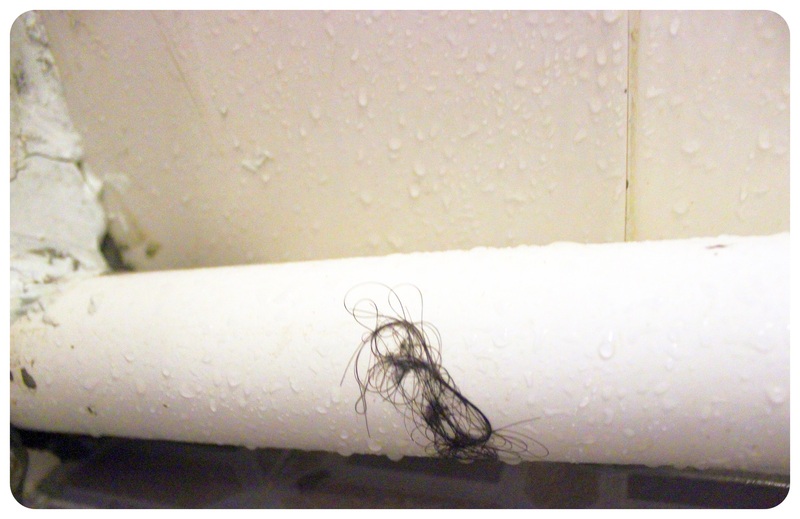 I was pretty sure that the sheets had not been changed, the bathroom door was broken and i found a big pile of black hair in the shower which was right above the toilet. 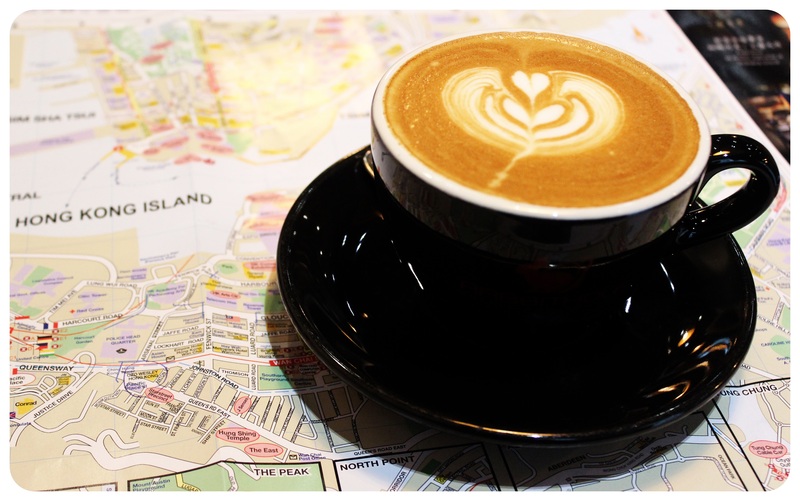 Instead of crying, I headed out to explore – this time better prepared with a vegetarian restaurant marked on GoogleMaps and a coffee shop I wanted to check out (what I realized is that Hong Kong has some amazing coffee shops!). The minute the waiter put down a jug of green tea and I took my first sip, I calmed down. I only needed to get my jet lag under control and I’d have a splendid time in Hong Kong. However, I didn’t get my jet lag under control and I didn’t make it to half of the places on my to-see-list. If you’re wondering why most of my photos are taken in the dark .. That’s because I was awake mainly during the night. Don’t wait until the day before your arrival to book your accommodation. Getting in touch with locals and meeting them is always a good idea. You get a much better perspective on a place if you know someone who actually lives there. Don’t be shy – meet up with locals, and if you don’t know anyone whatsoever, sites like WithLocals are a good idea, and so are MeetUp.com or Couchsurfing meetups. And if you’re just looking to meet other travelers, activities like a pub crawl are always fun. Beat the jet lag. Here are some tips. If you only have a few days in a place with a lot to see, make still time to just meander, go with the flow, take in the vibe of the city, and not just rush from attraction to attraction. 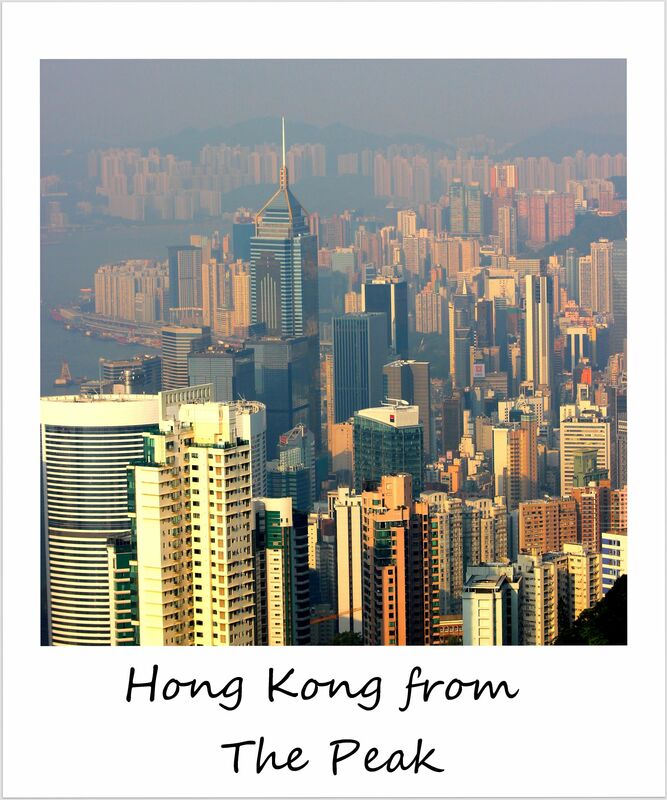 Have you been to Hong Kong? I’d love to hear your recommendations for things I should check out on my next visit in a couple of months!